The new millennium saw Robin Bater elected as Club chairman with a Club committee elected in place to assist. With John Earrey no longer the Foxhall Stadium manager, the Club were indebted to Roy Eaton for use of the Foxhall Stadium facilities. To raise additional club funds, a bonus ball scheme was introduced based on the Saturday National Lottery draw. This extra fundraising was required as due to a decline in sales: issue number 20 (Rulebook 2000 edition) of the 'Foxhall Foxes Slotstox' Magazine (issued at the beginning of the season) was the last in the series. The money received from sales of the magazine had been used to sponsor the Slot-Saloon Foxhall Championship and the Slotstox Foxhall Team Championship in recent seasons. The 'Foxhall Foxes Slotstox' magazine had included Club Chairman's report, Scruitineer's reports, Slot-Saloons and Slot-Bangers promoter's updates, table tennis reports as well as the usual results and fixtures. Incidentally the 'Foxhall Foxes Slotstox' Magazine's predecessor: the 'simply better' Suffolk Slotstox magazine had also ended after 20 issues in May 1994! To encourage new members and give lower grade drivers an incentive during the season: monthly grade awards were introduced with the highest scoring White and Yellow grade drivers receiving a trophy. On the Club's fixture list the Slot-Saloons and Slot-Bangers were allocated the meeting on the first Friday of each month. A further change saw Slot-Bangers being graded for the first time, having previously been run from White grade. It was a difficult first season as Club chairman for Robin as the introduction of the so called 'Supercar' over recent seasons had revolutionised the Slotstox formula but also split the Club with the perception between those that could and those that could not afford to stay competitive. This split was further emphasised this season with the establishment of a new Slotstox Club in the Ipswich area – the Claydon Slotstox Club. The brainchild's behind this club were the same as those behind the 'Supercar' concept: Noel Whinney and Aaron Leek. The Claydon Slotstox Club was formed with the assistance of a selection of the Club's members and given the close proximity, cross over of members and differing views on Slotstox construction: relations between the Club and the Claydon Slotstox Club were far from perfect. The Claydon Slotstox Club's first meeting was an 'open night' on 6th September. On a brighter note for the Club, the Claydon Slotstox Club was very successful in attracting new members; a few of which also became members at the Club. The Claydon Slotstox Club actually proved more successful in attracting new members than anticipated and having started based at the Claydon Village Hall, a quick move was required to the slightly bigger facilities at the Claydon Old Chapel with the first meeting at their new headquarters being a 'fun night' held on 17th December. With the addition of Claydon, four Slotstox Clubs (Foxhall Foxes, Aldershot Knights, Claydon and Wisbech Fen Tigers) were represented at the Slotstox World Championship on 10th December. As the previous season, due to the deteriorating condition of the room the Club were using at the Foxhall Stadium, the Club again hosted the Slotstox World Championship at the local Rushmere Village Hall. Once again, this required the track to be kept in the Garage at Carla and Mark West's mum's house (just over the road from the Rushmere Village Hall) overnight prior to the meeting! Paul Glading won the Slotstox World Championship for a second time following 1997. Paul became the fourth driver to win the Slotstox World Championship twice following Aldershot Knights Slotstox Club drivers Roger Gay (winner of the inaugural Slotstox World Championship in 1983 and 1987) and Gary Reynolds (1985 and 1989) together with Slotstox World Champion in the previous two seasons: Aaron Leek. As was now custom, various members of the Club contributed towards (and a record level since this initiative was started in 1997!) a general kitty to sponsor the Slotstox World Championship. Courtesy of Mark Banham a report of the Slotstox World Championship meeting appeared in the local Evening Star newspaper on 21st December. The Aldershot Knights Slotstox Club hosted the Slotstox English ‘Open’ Championship on 26th November. The previous season had proved to be a trial run; being the first time the Aldershot Knights Slotstox Club had run the event. A compromise had been reached on Slotstox construction rules given the variations from club to club. The Slotstox raced at Aldershot Knights Slotstox Club were still basically the same as since the advent of Slotstox. It was apparent at the 1999 Slotstox English 'Open' Championship that the Slotstox raced at the Club and Wisbech Fen Tigers Slotstox Club had a considerable advantage. Taking into consideration the results of the 1999 Slotstox World Championship and 2000 Wisbech Fen Tigers Slotstox 'Open' Team Championship: the 2000 Slotstox English 'Open' Championship was raced under Aldershot Knights Slotstox Club Slotstox construction rules. This ruled out the so called 'Supercars' being raced regularly by the Club, Claydon Slotstox Club and Wisbech Fen Tigers Slotstox Club. This decision was not welcomed in some quarters and although a handful of visitors did build Slotstox for the meeting, it was no surprise that an Aldershot Knights Slotstox Club regular Stuart Andrews won the Slotstox English 'Open' Championship. One driver choosing not to attend was defending Slotstox English ‘Open’ Champion Noel Whinney. Noel therefore lost the Slotstox English 'Open' Championship title without racing. Noel did dominate the Club's season. Noel did not defend the Slotstox English ‘Open’ Championship but did defend the Slotstox Foxhall Points Championship (third in total and third in four seasons having also won in 1997), the Slotstox Foxhall Championship (fifth in total and fourth in five seasons having also won in 1989, 1996 and 1997 - therefore a Slotstox Foxhall Championship win in three different decades!) and the Slotstox Foxhall Team Championship captaining the 'Cheque Book Racers' team following being Captain of the 'Jokers' team a season earlier. This meant Noel won the Slotstox Foxhall Points Championship and Slotstox Foxhall Championship in the same season for a third time following 1997 and 1999. Noel became the second driver to defend the Slotstox Foxhall Points Championship following six-time champion Paul Mower (winner three-times-in-a-row 1987, 1998, 1989; followed by two-in-a-row 1991 and 1992; plus 1994). Noel became the second driver to win the Slotstox Foxhall Points Championship and Slotstox Foxhall Team Championship in the same season following Paul (Captain 1989 'Team Reg'). Noel became the second driver to win the Slotstox Foxhall Championship and Slotstox Foxhall Team Championship in the same season following Chris Butcher (Captain 1991 and 1992 'Jokers' team). Noel won the Slotstox Foxhall Team Championship for a fourth time having also been a member of the 'Jokers' teams in 1991 and 1992. This meant Noel defended the Slotstox Foxhall Team Championship for a second time. Noel became the second driver to win a fourth Slotstox Foxhall Team Championship following Chris (in addition to being 'Jokers' team Captain in 1991 and 1992; Chris was also a member of the 1997 'Gumbys' team and 1999 'Jokers' team). This was the first time that Noel had won the Slotstox Foxhall Team Championship without Chris being on the same team! Noel became the third Captain to defend the Slotstox Foxhall Team Championship following three-time champion Paul Mower ('Team Reg' 1989 and 1990 plus 1993), Chris ('Jokers' team 1991 and 1992) and Mark Banham ('Gumbys' team 1996 and 1997). Noel also won the Slotstox Foxhall Grand Prix Series Championship. Outgoing Slotstox Foxhall Grand Prix Series Champion Jason Duff won the Slotstox Suffolk Championship. Noel became the second driver to win the Slotstox Foxhall Points Championship, Slotstox Foxhall Championship and Slotstox Foxhall Grand Prix Series Championship in the same season following Clive Day (1990). Noel became the fifth driver to win the Slotstox Foxhall Points Championship and Slotstox Foxhall Grand Prix Series Championship in the same season following Clive plus Mark Cossey (the inaugural Slotstox Foxhall Grand Prix Series Championship in 1986), Paul (1987, 1989, 1991 and 1992) - these being the first six seasons the Slotstox Foxhall Grand Prix Series Championship was held! Also Paul Glading (1998) - this meant that this was the second season in three that the same driver had won the Slotstox Foxhall Points Championship and Slotstox Foxhall Grand Prix Series Championship in the same season! This meant Noel became the second driver to win the Slotstox Foxhall Grand Prix Series Championship and Slotstox Foxhall Team Championship in the same season following Paul (1989). Noel won the Slotstox Foxhall Grand National Championship to end Jim Glading’s run; Jim having won the first three Slotstox Foxhall Grand National Championship since the inception of the championship in 1997. Representing the Club, 'Cheque Book Racers' were the first non-Wisbech Fen Tigers Slotstox Club team to win the Wisbech Fen Tigers Slotstox ‘Open’ Team Championship. The 'Cheque Book Racers' team beat the defending champions: 'Fen Stars' team, representing the host club, in the final. This meeting saw no driver having any track advantage, as it was the first ever racing on the Wisbech Fen Tigers Slotstox Clubs new six-lane track! Noel also won the Slotstox Foxhall Pairs Championship paired with Gareth Parker. Noel became the second driver to win the Slotstox Foxhall Points Championship and Slotstox Foxhall Pairs Championship in the same season following Christer Earrey (1993 paired with Sharon Brett). Noel also became second driver to win the Slotstox Foxhall Grand National Championship and Slotstox Foxhall Pairs Championship in the same season following Jim a season earlier (1999). Jim won the Slotstox Foxhall Pairs Championship also paired with Gareth. Gareth completed a hat-trick of Slotstox Foxhall Pairs Championship wins having also won in 1998 paired with Mark West! Gareth also won the Slot-Bangers Foxhall Pairs Championship. Gareth's partner was Slotstox World Champion Paul Glading defending the Slot-Bangers Foxhall Pairs Championship having won in 1999 paired with Mark Banham. Paul won the Slot-Bangers Foxhall Points Championship for the fourth-season-in-a-row. Having been run as an 'Unofficial' championship in 1998 and 1999 due to a set of 'new' temporary Slot-Banger racing rules: this season the Slot-Bangers Foxhall Points Championship returned as an 'Official' championship. With Paul winning the Slot-Bangers Foxhall Pairs Championship in 1997 paired with dad Jim, Paul won the Slot-Bangers Foxhall Points Championship and Slot-Bangers Foxhall Pairs Championship in the same season for a third time. With Paul and Jim winning the Slot-Bangers Foxhall Pairs Championship in 1997 and Jim having also won in 1998 (paired with Keith Brett); this was a fourth-season-in-row Glading family win in the Slot-Bangers Foxhall Pairs Championship! Paul won a Foxhall Pairs Championship double by also winning the Slot-Saloons Foxhall Pairs Championship paired with Keith’s daughter Sharon (a pairing consisting of the two drivers to have won the Slot-Saloons Foxhall Championship and Slotstox World Championship in the same season: Sharon: 1996 and Paul: 1997!). This defended the Slot-Saloons Foxhall Pairs Championship for the Brett family as Sharon’s brother Carl won in 1999 paired with Roger Adams. Sharon and Carl were also members of the Slotstox Foxhall Team Championship winning 'Cheque Book Racers' team. This was a third Slotstox Foxhall Team Championship win for Carl following being a member of the 1995 'Hot Wods' team and 1997 'Gumbys' team. Also, a second Slotstox Foxhall Team Championship win for Sharon following being a member of the 1997 'Gumbys' team. More Brett family wins as Keith won the Slot-Saloons Foxhall Championship - the second member of the Brett family to win the Slot-Saloons Foxhall Championship following Keith's daughter Sharon (1996) - and Carl won an individual championship: the Slot-Rubbish Rally Foxhall Championship. Other members of the 'Cheque Book Racers' team were Mark Banham winning a third Slotstox Foxhall Team Championship having been 'Gumbys' team Captain in 1996 and 1997 and Anthony Squirrell winning a second Slotstox Foxhall Team Championship having been a member the 1999 'Jokers' team. Anthony became the seventh driver to defend the Slotstox Foxhall Team Championship following Noel (twice: 1991 and 1992 'Jokers' team member' plus Captain 'Jokers' team 1999 and Captain 'Cheque Book Racers' team Captain), Paul (Captain 'Team Reg' 1989 and 1990), Chris (Captain 'Jokers' team 1991 and 1992), Mark (Captain 'Gumbys' team 1996 and 1997), John Devine (1991 and 1992 'Jokers' team member) and Keith Brett (1995 'Hot Wods' team member and 1996 'Gumbys' team member). Mark West: 2 - member 1996 'Gumbys' and 1999 'Jokers'. Mark West won the Slot-Saloons Foxhall Points Championship and away from the Club won the inaugural Slotstox Claydon Points Championship. Robin Bater won the Slot-Bangers Foxhall Championship and Ben Freeman won the Slotstox Foxhall Under 15’s Championship. Most notably for this season, following on from moving the 1999 and 2000 Slotstox World Championships to the Rushmere Village Hall due to the deteriorating condition of the room used by the Club, the Club voted to leave the Foxhall Stadium. The Club had been based at the Foxhall Stadium (except for a brief time at the beginning of the 1992 season when the club was based at the Graham Court Hotel and Restaurant in Anglesea Road nearer the centre of Ipswich) since its formation in May 1984. The Foxhall Stadium manager for most of those seasons was John Earrey. The wooden structure bar was constructed when the stadium was built in 1951. For many seasons it was the only indoor bar at the stadium where you could have a drink during speedway and stock car meetings. With additional drinking establishments being built at the stadium (most notably Di's Diner) the Club were the only users of this bar and it had become neglected. Even so, the bar still had a pool table, dart board and table tennis table that were kept in regular use. The table tennis in particular had always proved popular and in the late 1990's, promoted by Mark Banham, had at times 20 regular players! In addition to the Stadium managers: John Earrey and Roy Eaton, over the years the Club had many people behind the scenes to be thankful for during its time at the Foxhall Stadium including Joy Studd and Marion Newell for running the bar, Diane Earrey, John Devine and Des Newell. It also meant that following the closure of each of the Aldershot Stadium and Wisbech Stadium - the Club, Aldershot Knights Slotstox Club and Wisbech Fen Tigers Slotstox Club had all now moved on from the Stock Car stadiums at which they were originally based. This season saw a number of events that gave rise to debate. With the club leaving the Foxhall Stadium due to the deteriorating condition of the bar that the Club were using; this season the club were based at the Bucklesham and Foxhall Village Hall in the village of Bucklesham just outside Ipswich. For a variety of reasons this move did not work out and at the end of the season, the Club were preparing to move again. The Club was not the only Slotstox Club on the move this season, as having already moved from the Claydon Village Hall to the Claydon Old Chapel soon after forming in 2000; the Claydon Slotstox Club were on the move again: this time to nearby Great Blakenham. The first meeting of the newly named Great Blakenham (or G.B. for short) Slotstox Club took place at the Great Blakenham Village Hall on 16th May (although mentions of `Claydon` were regularly heard during the remainder of the season!) Club regular Karl Atkinson also raced at the Great Blakenham Slotstox Club and won the inaugural Great Blakenham Slotstox ‘Club’ Championship on 28th October. Early in the season Robin Bater resigned as Club chairman with Mark Banham elected and getting the Club back on an even keel. Work was also undertaken on the track: all the copper on the five-lane straight through centre section was replaced with the whole section also being sanded and repainted. There was an ongoing debate regarding the design of the Slotstox that the Club should race. This briefly saw the Club run two Slotstox formulae: the advanced `Supercar` class called `Class A` and a retro class called ´Class B`. With the establishment of the Claydon Slotstox club in 2000, there was an opinion that one club could race Slotstox in the area with the more advanced `Supercar` design based on smaller wheels whilst the other could race Slotstox based on the larger wheel design similar to those raced by the Aldershot Knights Slotstox Club. This was a short-term experiment and a vote decided in favour of continuing to race the more advanced Slotstox design. Over the course of the season, this evolved and by the end of the season the Club, Claydon Slotstox Club and Wisbech Fen Tigers Slotstox Club were all racing to the same Slotstox construction rulebook - meaning that it was easier for members of one club to race at the other clubs. The Slotstox World Championship was held at the Clubs ‘new’ venue moving from its `now` usual December date to 14th October with forty-three drivers racing. Despite not having the easiest season as Club chairman, Mark Banham, having raced at the inaugural meeting of the Club, won to become the Slotstox World Champion. Once again a selection of Club members contributed towards a general kitty to sponsor the Slotstox World Championship. The Slotstox World Championship B-final result saw the five finalists separated by only seven points with a three-way run-off for second! Further debate arose as the season saw the hosting of two Slotstox English ‘Open’ Championships. Following the controversy surrounding the Aldershot Knights Slotstox Club hosting the 2000 event under their Slotstox construction rules (which ruled out the Slotstox raced regularly by the Club, Claydon Slotstox Club and Wisbech Fen Tigers Slotstox Club); within a year of forming the Claydon Slotstox club were hosting their first `Open` Championship: their own version of the Slotstox English `Open` Championship on 28th January. The aim was to be a truly `Open` Slotstox English Championship allowing Slotstox to race that met either the Club's, Aldershot Knights Slotstox Club's, Claydon Slotstox Club's or Wisbech Fen Tigers Slotstox Club's construction rules. At the time the Claydon Slotstox Club and Wisbech Fen Tigers Slotstox Club were racing Slotstox using the same Slotstox construction rules (the Club followed later in the season). The Claydon Slotstox Club’s track was repainted prior to the hosting the event and was only finished the day before! Kevin Whinney, brother of Noel - winner of the Slotstox English ‘Open’ Championship hosted by the Aldershot Knights Slotstox Club in 1999 but lost the title in 2000 without racing - won this inaugural event. Host club driver Clint Brazier won the Aldershot Knights Slotstox Club version of the Slotstox English `Open` Championship on 25th November. The Aldershot Knights Slotstox Club version attracted visitors from the Club, Arena Slotstox Club and Wellgate Slotstox Club. Drivers from the Arena and Wellgate Slotstox Clubs were using borrowed 'plastic' cars due to their main formula being 'metal' Parmastox. Parmastox being cut down Parma womp chassis with metal bumpers. In addition to winning the Claydon Slotstox Club hosted Slotstox English ‘Open’ Championship Kevin Whinney also won the Slotstox Suffolk Championship. This Slotstox Suffolk Championship featured drivers from the Claydon Slotstox Club for the first time. Kevin became the third driver to win a Slotstox English ‘Open’ Championship and the Slotstox Suffolk Championship in the same season following Julian Beaumont (1988) and Rachael Squirrell (1995). Kevin became the second member of the Whinney family to win the Slotstox Suffolk Championship following brother Noel winning in 1996. Noel again dominated the Club’s season. Noel defended the Slotstox Foxhall Points Championship, Slotstox Foxhall Championship and Slotstox Foxhall Grand Prix Series Championship: Noel winning each of the Slotstox Foxhall Points Championship and Slotstox Foxhall Championship for the third-season-in-a-row. The Slotstox Foxhall Points Championship win was a fourth in total and fourth in five seasons having also won in 1997, while the Slotstox Foxhall Championship win was a sixth in total and fifth in six seasons having also won in 1989, 1996 and 1997. This meant that Noel won the Slotstox Foxhall Points Championship and Slotstox Foxhall Championship in the same season for a fourth time following 1997, 1999 and 2000. The Slotstox Foxhall Championship saw Noel win all bar one race of the final. Noel became the second driver to win the Slotstox Foxhall Points Championships three-times-in-a-row following six-time Champion Paul Mower (1987, 1988 and 1989, followed by two-in-a-row 1991 and 1992 plus 1994). Noel became the second driver to defend the Slotstox Foxhall Points Championship and Slotstox Foxhall Grand Prix series Championship in the same season following Paul Mower (1987, 1989, 1991 and 1992). Noel became the third driver to defend the Slotstox Foxhall Grand Prix Series Championship following four-time champion Paul (1987, 1989, 1991 and 1992) and Chris Butcher (1993 and 1995 – 1994/5 saw the Slotstox Foxhall Grand Prix Series Championship change from being a championship run during one season to a championship run over the second-half of one season and the first half of the following season). Paul winning the Slotstox Foxhall Points Championship and Slotstox Foxhall Grand Prix Series Championship in 1992 completed a run of the same driver winning these championships in the same season for the first six seasons the Slotstox Foxhall Grand Prix Series Championship was held! Mark Cossey won the inaugural Slotstox Foxhall Grand Prix Series Championship in 1986 whilst Clive Day won in 1990. With outgoing Slotstox World Champion Paul Glading winning the Slotstox Foxhall Points Championship and Slotstox Foxhall Grand Prix Series Championship in 1998 this meant that this was the third season in four that the same driver had won these championships in the same season - this follows the re-formatting of the Slotstox Foxhall Grand Prix Series Championship in 1994 from having all the rounds being held during one season to the rounds being held over the second-half of one season and the first-half of the following season. Away from the Club, Noel won the Slotstox Points Championship at the Claydon/Great Blakenham Slotstox Club and the Slotstox ‘Club’ Championship at the Wisbech Fen Tigers Slotstox Club with a maximum in the final. Noel was also defending Slotstox Foxhall Grand National Champion, which following a name change became known as the Slotstox Foxhall B-finals Championship: with outgoing Slot-Saloons Foxhall Points Champion Mark West winning this championship as well as the Slot-Saloon and Caravan Foxhall Championship. Gareth Parker won the Slot-Saloons Foxhall Points Championship whilst Keith Brett defended the Slot-Saloons Foxhall Championship. The Slot-Saloons Foxhall Points Championship dropped the 'Thunderdrome Series' nickname that it had been competed under since Chris Butcher resurrected the Slot-Saloons as a 1/32 scale formula in 1994. Due to the Bucklesham and Foxhall Village Hall not being available one Friday a month, the Slotstox Foxhall Team Championship and Foxhall Pairs Championships were dropped from the fixture list whilst a lack of younger members saw the Slotstox Foxhall Under 15’s Championship also dropped from the fixture list. Noel and Gareth were the previous seasons Slotstox Foxhall Pairs Champions whilst Gareth was also the previous seasons Slot-Bangers Foxhall Pairs Champion with Paul Glading. Paul was also the previous seasons Slot-Saloons Foxhall Pairs Champion with Sharon Brett. The previous seasons Slotstox Foxhall Under 15`s Champion Ben Freeman ended Paul Glading`s run of four-in-a-row Slot-Bangers Foxhall Points Championship wins. The Slot-Bangers Foxhall Points Championship dropped the 'Crasherama' nickname that it had been competed under since the formula were introduced in 1993. There was a Glading family win in Slot-Bangers as Paul's dad Jim won a Slot-Bangers championship double: the Slot-Bangers Foxhall Championship for a second time following 2001 and the Slot-Bangers Foxhall Destruction Derby Championship. Away from the Club, Great Blakenham Slotstox Club member Luke Hodgkinson won two inaugural ‘Open’ Slotstox Championships at the Great Blakenham Slotstox Club: the Slotstox Coca Cola 330 Championship (with a unique annual trophy) on 25th July open to all drivers without a major Slotstox championship win followed by the Slotstox Under 18's Championship at the end of season 'Christmas Fun Night' on 16th December. On 5th May, host club team 'Fen Stars' won the Wisbech Fen Tigers Slotstox ‘Open’ Team Championship for the third time following 1998 and 1999. The 'Fen Stars' avenged defeat in the 2000 final by this season beating the defending champions (although this season representing the Claydon Slotstox Club having represented the Club in 2000) 'Cheque Book Racers' team in the final. The Claydon Slotstox Club had an eventful journey to the meeting with the Ford Granada of Graham Osborn suffering from a few mechanical problems on route! With the move to the Bucklesham and Foxhall Village Hall for the 2001 season not working out, this season saw the Club move on again, this time to the Grundisburgh Village Hall in the village of Grundisburgh just outside Ipswich. The Slotstox World Championship was held at the Club’s ‘new’ venue on 20th October with thirty-four drivers racing. After years of being 'favourite' and near misses, Noel Whinney finally won the Slotstox World Championship. Ben Freeman finished 5th whilst still recovering from injuries following a scooter accident! This was the 20th running of the Slotstox World Championship and the programme included memories from previous Slotstox World Champions. The main talking point in the heats was the sudden and unexpected loss of power which, after investigation, was found to be nothing more than needing to put £1 in the electricity meter! Certain Club members contributed towards a general kitty to sponsor the Slotstox World Championship. At the Club, Noel won the Slotstox Suffolk Championship (taking this title off brother Kevin) for the second time following 1996. Noel’s won the Slotstox Foxhall Championship for the fourth-season-in-a-row, sixth season in seven and seventh in total having also won in 1989, 1996 and 1997. This meant Noel won the Slotstox Suffolk Championship and Slotstox Foxhall Championship in the same season for a second time following six seasons earlier in 1996. Clive Day also won the Slotstox Suffolk Championship and Slotstox Foxhall Championship in the same season - six seasons before that (1990)! Noel became the third driver to win the Slotstox Suffolk Championship twice following Kevin Thurlow (the inaugural Slotstox Suffolk Championship in 1985 and 1991 - another six season gap between first and second win!) and Paul Mower (1986 and 1987). Noel won the Slotstox Foxhall Championship in controversial circumstances: Paul Glading was originally awarded the win before a erroneously recorded race result was spotted which changed the scores meaning that Noel and Mark West faced a run-off for the Championship. Noel also won the Slotstox Foxhall Grand National Championship (reverting back to its original name having been contested under the name of Slotstox Foxhall B-Finals Championship in 2001) - taking this crown off Mark. Mark won the Slotstox Foxhall Grand Prix Series Championship - taking this title off Noel! Noel won the Slotstox Foxhall Grand National Championship for a second time and second time in three seasons following 2000. This meant Noel won the Slotstox Foxhall Championship and Slotstox Foxhall Grand National Championship in the same season for a second time following 2000. Noel became the second driver to win the Slotstox Foxhall Grand National Championship on two or more occasions following three-time champion Jim Glading (the first three held - 1997, 1998 and 1999). Noel became the second driver to win the Slotstox Suffolk Championship and Slotstox Foxhall Grand National Championship in the same season following Jim in 1998. Away from the Club, Noel defended the Slotstox Great Blakenham Points Championship. Slotstox Foxhall Grand Prix Series Champion Mark may have lost the run-off with Noel for the Slotstox Foxhall Championship but did win a run-off with Paul to win the Slotstox East Anglian Championship on 5th June (re-introduced and hosted by the Great Blakenham Slotstox Club and held for the first time since 1995). Mark also won a team championship double captaining the ‘Westy's flyers’ team to win a ‘new’ format Slotstox Foxhall Team Championship on 29th November (new format mainly to accommodate a reduction in numbers racing regularly and also 'Open' to Great Blakenham Slotstox Club members) as well as being a member of the ‘O.M.B. Racing’ team that won the Wisbech Fen Tigers Slotstox ‘Open’ Team Championship. Mark also won the Slot-Bangers Foxhall Points Championship. Mark became the fourth driver to win the Slotstox East Anglian Championship and Slotstox Foxhall Grand Prix Series Championship in the same season following Paul Mower (1987), Clive Day (1990) and Chris Butcher (1995). Mark became the second driver and second in three seasons to win the Slotstox Foxhall Team Championship, Wisbech Fen Tigers Slotstox ‘Open’ Team Championship and Slotstox Foxhall Grand Prix Series Championship in the same season following Noel (2000). Mark became the third driver to win the Slotstox Foxhall Team Championship and Slotstox Grand Prix Series Championship in the same season following Noel and Paul Mower (1989). Mark became the second driver to win the Slotstox Foxhall Grand Prix Series Championship and Slot-Bangers Foxhall Points Championship in the same season following Paul Glading (1998). ‘Westy's flyers’ team Captain Mark won a third Slotstox Foxhall Team Championship having been a 1996 ‘Gumbys’ team member and a 1999 ‘Jokers’ team member. Away from the Club, Mark won the Slotstox ‘Club’ Championship at the Great Blakenham Slotstox Club on 3rd November. ‘Westy's flyers’ members were outgoing Slotstox World Champion Mark Banham and the two Rachael’s: 1995 Slotstox English Champion and 1995 Slotstox Suffolk Champion Rachael Butcher (nee Squirrell) returning for a rare racing appearance and Rachael Parsons. Mark Banham won the Slotstox Foxhall Team Championship for a fourth time having been 1996 and 1997 ‘Gumbys’ team Captain and also a member of the 2000 ‘Cheque Book Racers’ team. With the Slotstox Foxhall Team Championship not being held in 2001, Mark became the second driver to defend the Slotstox Foxhall Team Championship twice following four-time champion Noel (1991 and 1992 ’Jokers’ team member plus Captain ‘Jokers’ team in 1999 and Captain ‘Cheque Book Racers’ team in 2000). Mark became the third driver to win the Slotstox Foxhall Team Championship for a fourth time following Noel and Chris Butcher (Captain ‘Jokers’ team 1991 and 1992 plus 1997 ‘Gumbys’ team member and 1999 ‘Jokers’ team member). In addition to Chris (Captain ‘Jokers’ team 1991 and 1992), other drivers to have defended the Slotstox Foxhall Team Championship once are Paul Mower (Captain ‘Team Reg’ 1989 and 1990), John Devine (1991 and 1992’ Jokers team member), Keith Brett (1995 ‘Hot Wods’ team member and 1996 ‘Gumbys’ team member) and Anthony Squirrell (1999 ‘Jokers’ team member and 2000 ‘Cheque Book Racers’ team member). Paul and John each have three Slotstox Foxhall Team Championship wins in total with Paul having also been ‘Team Reg’ Captain in 1993 and John having been ‘Hot Wods’ team Captain in 1995. Rachael Butcher (nee Squirrell) won the Slotstox Foxhall Team Championship for a second time having been a member of the 1999 ‘Jokers’ team. Terry Newell: 2 – member 1990 and 1993 ‘Team Reg’. Having not won any championships in the 2001 season and missing out on what was initially thought to be a first Slotstox Foxhall Championship, Paul Glading was another member of the Wisbech Fen Tigers Slotstox `Open` Team Championship winning ‘O.M.B. Racing’ team. At the Club, Paul won the Slotstox Foxhall Points Championship for a second time following 1998. Paul also won the Slot-Bangers Foxhall Championship (to become the second Glading family member to win the Slot-Bangers Foxhall Championship) - taking this title off dad Jim (who also won in 1998): the third member of the Wisbech Fen Tigers Slotstox `Open` Team Championship winning 'O.M.B. Racing' team!) and Slot-Rubbish Rally Foxhall Championship. Paul became the third driver to win the Slotstox Foxhall Points Championship on more than one occasion following six-time champion Paul Mower (1987, 1988, 1989, 1991, 1992 and 1994) and four-time champion Noel (1997, 1999, 2000 and 2001). Paul became the second driver and second in three seasons to win the Wisbech Fen Tigers Slotstox ‘Open’ Team Championship and Slotstox Foxhall Points Championship in the same season following Noel (2000). Paul Mower: Slotstox (1988), Slot-Bangers (1993 and 1994) and Slot Rods (1993). Chris Butcher won the Slot-Saloons Foxhall Points Championship for a third time following 1991 and 1999. In a year when Club members Sharon Brett and Gareth Parker got married, Keith Brett missed out on a hat-trick of Slot-Saloon Foxhall Championship wins as this was won by son-in-law Gareth! Gareth won a Slot-Saloon Championship double by also winning the Slot-Saloon and Caravan Foxhall Championship. After the running of two Slotstox English ‘Open’ Championships in 2001 by the Aldershot Knights Slotstox Club and Claydon Slotstox Club, the Great Blakenham Slotstox Club (previously Claydon) renamed the Claydon Slotstox English `Open` Championship to the Slotstox British ‘Open’ Championship. This was held on 3rd March, sponsored by Elite Racing Services and was won by Aaron Leek. A preview and follow up report was featured in the local Ipswich Evening Star newspaper on 2nd and 4th March respectively. The Aldershot Knights Slotstox Club `Open` event on 1st December took on a new, exciting format seeking to embrace the different Slotstox construction rules between clubs. Rules on Slotstox construction had grown apart over the years with each club doing what is best for their circumstances. This meant that each season it was getting more difficult for the Aldershot Knights Slotstox Club to find common ground in providing a one class `Open` Championship event as many of the Aldershot Knights Slotstox Club members had three or more types of Slotstox. The idea was hit upon of hosting a three Slotstox formula `Open` Championship event! The Slotstox English ‘Open’ Championship was run to Aldershot Knights Slotstox Club Slotstox construction rules (named ‘F2’ Slotstox for the day), a Southern ‘Open’ Championship for the newly named ‘National Rules Slotstox’ raced by the Club, Great Blakenham Slotstox Club and Wisbech Fen Tigers Slotstox Club plus the ‘F1’ Slotstox raced by the Aldershot Knights Slotstox Club (named ‘F1’ Slotstox for the day), plus a Parmastox metal Slotstox Southern ‘Open’ Championship. Parmastox being cut down Parma womp chassis with metal bumpers. This added the extra twist of the Arena Slotstox Club and Wellgate Slotstox Club joining the metal Slotstox drivers, making for an organisational headache for the Aldershot Knights Slotstox Club! A total of fifty-six drivers were racing; several in more than one class and this was without any drivers from the Wisbech Fen Tigers Slotstox Club! Slotstox British `Open` Champion Aaron, representing the Great Blakenham Slotstox Club, won the ‘F1’ class Slotstox Southern ‘Open’ Championship in a final dominated by the Great Blakenham Slotstox Club. The `F2` Slotstox English ‘Open’ Championship was defended by host club driver Clint Brazier in a final dominated by the host club. Clint became the third driver to win the Slotstox English Championship on more than occasion following three-time champion Julian (1987, 1998 and 1990) and Neil Clarke (1991 and 1994). This meant Clint became the second driver to defend the Slotstox English Championship following Julian. With all Slotstox Clubs represented across the three finals, Aldershot Knights Slotstox Club driver Steve Andrews won the Parmastox Southern `Open` Championship beating brother Stuart into second. Stuart was also second in the `F2` Slotstox English `Open` Championship! With growing relations between the Club and the Arena Slotstox Club (based at the Raceway Tavern at the Arena Raceway which hosts 'real' Stock Car racing promoted by Promotasport Raceway International (P.R.I. ): on 7th November a Club team represented by Mark Banham, James Scales and Mark West borrowed Parmastox to race against two Aldershot Knights Slotstox Club teams plus five Arena Slotstox Club teams in the Parmastox End of Season Arena Team `Open` Championship sponsored by Promotasport. Parmastox being the main formula at the Arena Slotstox Club. With eight teams racing, the Club team finished sixth as Chris Branch, Jack Branch and Reg Partridge from the host club won the Parmastox Arena Team `Open` Championship. Following the move to Grundisburgh: the distribution of leaflets around the village, the building of Club slotstox by Graeme Canty plus a stand at the Grundisburgh Show helped to attract some new young members and one of these Douglas Kemp won the Slotstox Foxhall Under 15’s Championship re-introduced following not being held in 2001. Away from the Club, two Great Blakenham Slotstox Club hosted Slotstox 'Open' Championships were won by drivers from the host club. Kevin Mitchell won the Slotstox Coca Cola 300 Championship on 24th July (renamed from the Coca Cola 330 Championship in 2001) open to all drivers without a major Slotstox championship win whilst Kevin's son Bradley won the Slotstox Under 18's Championship at the end of season 'Christmas meeting' on 22nd December. Lots of work took place over the 2002/3 close season and then through most of the season relaying the Club’s five-lane track including both the straight through chicane and bendy chicane centre sections. This included adding barriers in front of the post and wire fence. Noel Whinney, spending the best part of three days relaying the bends, did a lot of the work which included some ‘interesting’ visits from various people to the Grundisburgh Village Hall! Jim Glading painted many coats of paint with Stephanie Parsons assisting; Chris Butcher joined it all together whilst Sharon Brett and Rachael Parsons painted the grades. Club chairman Mark Banham, Chris Butcher, Mark West plus two non-Club members: Andrew Gillingham and Nigel Glancy assisted in putting track sections away after they had been left out for the paint to dry - the latter doing so one Monday afternoon after completing a 6 `til 2 shift! Many other Club members took on extra responsibility running the meetings whilst this work took place during race meetings. Due to the work being done on the Club’s five-lane track, much of the seasons racing took place on the Club’s four-lane track which, thanks to Chris Butcher, now included the added dimension of reverse switches potentially enabling drivers several attempts to clear a track blockage! A Club newsletter reappeared although rather than being a booklet it was reborn as an A4 sheet. As with its predecessor, the ‘Foxhall Foxes Slotstox’ Magazine which stopped at the beginning of 2000, the editor was Diane Brett with the printing being done by `Club printer` Jim Glading. With their growing prominence and the formulae promoters agreeing to take on greater responsibility the number of joint Slot-Saloons and Slot-Bangers meetings was increased. Two drivers dominated the racing season: Noel Whinney and Paul Glading. The Slotstox World Championship was hosted by the Club on 2nd November with forty-six drivers racing on the Club’s refurbished five-lane straight through chicane track. Noel become the second driver to defend the Slotstox World Championship following Aaron Leek (1998 and 1999). Noel became the fifth driver to win the Slotstox World Championship twice following Aaron, the Aldershot knights Slotstox Club drivers Roger Gay (winner of the inaugural Slotstox World Championship in 1983 and 1987) and Gary Reynolds (1985 and 1989) plus Paul Glading (1997 and 2000). Certain Club members again contributed towards a general kitty to sponsor the Slotstox World Championship. Lady driver Lorraine Hunting (Noel's fiancee!) finished second: the best result by a lady driver since Sharon Brett won the Slotstox World Championship in 1996. Away from the Club, Lorraine won the Slotstox European Championship at the Wisbech Fen Tigers Slotstox Club: a championship open to Wisbech Fen Tigers Slotstox Club members only. Young Great Blakenham Slotstox Club driver and 2002 Slotstox Under 18's Champion Bradley Mitchell produced an excellent performance finishing fourth whilst in the consolation final Chris Butcher made the perfect start winning the first race only to then not finish any of the remaining nine! Courtesy of chairman Mark Banham, a preview and follow up report appeared in the October / November 2003 and the December 2003 / January 2004 editions respectively of The Grundisburgh and District News: the local village magazine. Immediately after the presentation of the trophies at the Slotstox World Championship the first official meeting of the `National Slotstox Association (N.S.A. )` - the three clubs racing the ‘National Rules Slotstox’ took place featuring representatives from the Club, Great Blakenham Slotstox Club and Wisbech Fen Tigers Slotstox Club. At the Club, Noel won the Slotstox Foxhall Championship for the fifth-season-in-a-row, seventh in eight seasons and eighth in total having also won in 1989, 1996 and 1997. This Slotstox Foxhall Championship was, like Noel’s first in 1989, won on the Club’s four-lane track! Away from the Club, Noel won three Great Blakenham Slotstox Club hosted championships: the Slotstox British ‘Open’ Championship on 2nd March with thirty-five drivers racing, the Slotstox ‘Club’ Championship on 9th November and the Slotstox Champions of Champions Championship on 23rd July. Noel became the second member of the Whinney family to win the Slotstox British Championship (and two in three seasons) following Noel's brother Kevin winning in 2001 (when named the English). Representing the Great Blakenham Slotstox Club, Noel also teamed up with Aaron and Brian Cave to win the Wisbech Fen Tigers Slotstox ‘Open’ Team Championship on 26th April as ‘Team Viagra’. With nineteen teams racing, ‘Team Viagra’ lived up to the name: being tough opponents never afraid to go in hard! Noel and Aaron each won the Wisbech Fen Tigers Slotstox ‘Open’ Team Championship for a second time having been members of the 2000 ‘Cheque Book Boys’ team. This meant Noel won the Wisbech Fen Tigers Slotstox ‘Open’ Team Championship and Slotstox Foxhall Championship in the same season for a second time following 2000. Only the ‘Alan Cullen Fan Club’ team were representing the Club at the Wisbech Fen Tigers Slotstox ‘Open’ Team Championship and achieved a remarkable fourth place finish. Having only arrived with two members: youngster Alex Dickings and 2001 Slotstox World Champion Mark Banham; Mark eventually persuaded sister Sandra Hudson, having not raced for many seasons, to join the team. The fourth place finish was all the more remarkable as Sandra outperformed Great Blakenham Slotstox Club regulars: husband Roy and son Antony teamed up with Graeme Canty. Not surprisingly, Sandra joined Roy and Antony in racing at the Great Blakenham Slotstox Club and then won a quarter-final plaque at the Slotstox World Championship which was presented by brother and Club chairman Mark. Most embarrassing for Mark having not qualified for the Slotstox World Championship quarter-finals only two seasons after being Slotstox World Champion! Paul defended the Slotstox Foxhall Points Championship and won the Slotstox East Anglian Championship, Slotstox Suffolk Championship, Slotstox Foxhall Grand Prix Series Championship, Slotstox Foxhall Grand National Championship (after Mark Banham had finished first in the qualifying points) and captained the ‘Jokers’ team to win the Slotstox Foxhall Team Championship. Paul also won the Slot-Bangers Foxhall Points Championship (fifth in total following four-in-a-row 1997, 1998, 1999 and 2000) and defended the Slot-Bangers Foxhall Championship on 3rd October for three Glading family Slot-Bangers Foxhall Championship wins in-a-row with Paul's dad Jim winning in 2001. With the Club hosting the Slotstox Suffolk Championship on 6th June and the Great Blakenham Slotstox Club hosting the Slotstox East Anglian Championship on 11th June, this meant Paul won these two championships in the space of six days! Paul won the Slotstox Foxhall Grand National Championship at the Club’s end of season gala night meeting on 12th December. As with the Slotstox Foxhall Championship, due to the ongoing work on the Club’s five-lane track, the Slotstox Suffolk Championship took place on the Club’s four-lane track. This saw some unexpected drivers qualifying for the final including Mark Brett, donator of trophies for the Slotstox Foxhall Team Championship, on a return trip from New Zealand! The Slotstox East Anglian Championship at Great Blakenham featured two Club representatives...just! Just, because Club chairman Mark was required to rush off and collect Alex Dickings: Alex had forgotten and gone to bed! The Slotstox East Anglian Championship consolation final saw a three-way run-off for fourth and a two-way run-off for first - what followed was one of the longest set of run-offs in Slotstox racing history! Paul won the Slotstox Foxhall Points Championship for a third time having also won in 1998. Paul won the Slotstox Foxhall Grand Prix Series Championship for a second time following 1998. This meant Paul won the Slotstox Foxhall Points Championship, Slotstox Foxhall Grand Prix Series Championship and Slot-Bangers Foxhall Points Championship in the same season for a second time following 1998. Paul became the third driver to defend the Slotstox Foxhall Points Championship and the third driver to win the Slotstox Foxhall Points Championship on three or more occasions following six-time champion Paul Mower (1987, 1988, 1989, 1991, 1992 and 1994) and four-time champion Noel (1997, 1999, 2000 and 2001). Paul became the fourth driver to win the Slotstox Foxhall Grand Prix Series Championships on two or more occasions following four-time champion Paul Mower (1987, 1989, 1991 and 1992) plus two-time champions Chris (1993 and 1995) and Noel Whinney (2000 and 2001). Paul became the third driver to win the Slotstox Foxhall Points Championship and Slotstox Foxhall Grand Prix Championship in the same season on more than one occasion following Paul Mower (1987, 1989, 1991 and 1992) and Noel (2000 and 2001). This meant that this was the third season in four that the same driver had won the Slotstox Foxhall Points Championship and Slotstox Foxhall Grand Prix Series Championship in the same season - this follows the re-formatting of the Slotstox Foxhall Grand Prix Series Championship in 1994 from having all the rounds being held during one season to the rounds being held over the second-half of one season and the first-half of the following season. Paul Mower winning the Slotstox Foxhall Points Championship and Slotstox Foxhall Grand Prix Series Championship in 1992 completed a run of the same driver winning these championships in the same season for the first six seasons the Slotstox Foxhall Grand Prix Series Championship was held! Mark Cossey won the inaugural Slotstox Foxhall Grand Prix Series Championship in 1986 whilst Clive Day won in 1990. Paul became the second driver to win the Slotstox Foxhall Points Championship, Slotstox Foxhall Grand Prix Series Championship, Slotstox Grand National Championship and Slotstox Foxhall Team Championship in the same season following Noel ('Captain ‘Cheque Book Racers’ team 2000). Noel also won the Slotstox Foxhall Points Championship and Slotstox Foxhall Team Championship in the same season (Captain ‘Jokers’ team 1999). Paul became the third driver to win the Slotstox Foxhall Points Championship, Slotstox Foxhall Grand Prix Series Championship and Slotstox Foxhall Team Championship in the same season following Noel and Paul Mower (Captain 'Team Reg' 1989). Paul became the third driver to win the Slotstox Foxhall Points Championship, Slotstox East Anglian Championship, Slotstox Suffolk Championship and Slotstox Foxhall Grand Prix Series Championship in the same season following Paul Mower (1987) and Clive Day (1990). Paul became the fourth driver to win the Slotstox East Anglian Championship and Slotstox Suffolk Championship in the same season following Paul (1986 as well as 1987) and Clive plus Julian Beaumont (1988). Paul became the second driver to win the Slotstox East Anglian Championship, Slotstox Foxhall Grand Prix Series Championship, Slotstox Foxhall Team Championship and Slot-Bangers Foxhall Points Championship in the same season following Mark West a season earlier (Captain 'Westy's flyers' 2002). Paul became the fifth driver to win the Slotstox East Anglian Championship and Slotstox Foxhall Grand Prix Series Championship in the same season following Paul, Clive and Mark plus Chris Butcher (1995). Paul became the fourth driver to win the Slotstox Suffolk Championship and Slotstox Foxhall Grand Prix Series Championship in the same season following Paul and Clive plus Neil Clarke (1997). Paul became the second Glading family member to win each of the Slotstox Suffolk Championship following dad Jim (1998) and the Slotstox Foxhall Grand National Championship following dad Jim (the first three held - 1997, 1998 and 1999). Paul and Jim became the second relations to win the Slotstox Suffolk Championship following Whinney brothers Noel (1996 and 2002) and Kevin (2003 - defending champion) ending a run of two Whinney winning Slotstox Suffolk Championships in-a-row! Paul became the second driver to win the Slotstox Suffolk Championship, Slotstox Foxhall Grand National Championship and Slot-Bangers Foxhall Championship in the same season following dad Jim in 1998! Paul became the third driver to win the Slotstox Suffolk Championship and Slotstox Foxhall Grand National Championship in the same season following dad Jim and Noel a season earlier (2002). Paul became the second driver to win the Slotstox Suffolk Championship and Slotstox Foxhall Team Championship in the same season also following George Palmer (1992 'Jokers' team member). Paul became the second driver to win the Slotstox Foxhall Team Championship, Slot-Bangers Foxhall Points Championship and Slot-Bangers Foxhall Championship in the same season following ‘Team Reg’ Captain Paul (1993). This meant that Paul became the fourth driver and third in four seasons to win the Slotstox Foxhall Grand Prix Series Championship and Slotstox Foxhall Team Championship in the same season following Paul (1993), Noel (2000) and Mark (2002). Away from the Club, Paul won the Great Blakenham Slotstox Points Championship. Paul became the second driver to win the Slotstox Foxhall Points Championship and Slotstox Great Blakenham Points Championship in the same season following Noel (2001). With Paul's Slotstox Foxhall Team Championship winning ‘Jokers’ team mate Chris defending the Slot-Saloons Foxhall Points Championship: a fourth in total having also won in 1991 and 1999; this meant Paul was denied winning the Foxhall Points Championships for Slotstox, Slot-Saloons and Slot-Bangers in the same season for what would have been a second time following 1998. Chris became the second driver to defend the Slot-Saloons Foxhall Points Championship following Neil Clarke (1995 and 1996). In addition to Paul (1998): Paul Mower (1994) and Neil Clarke a season later (1995) won the Foxhall Points Championships for Slotstox, Slot-Saloons and Slot-Bangers in the same season. The third and final member of the Slotstox Foxhall Team Championship winning ‘Jokers’ team Robin Bater also won an individual championship: the Slot-Saloons Foxhall Championship (on 14th November) for a third time following 1994 and 1998. Robin had the unusual distinction of racing at two Slotstox clubs with different Slotstox numbers: with Bradley already racing as number 2 at the Great Blakenham Slotstox Club, alternate aerofoils saw Robin race as number 2 at the Club and as number 64 (Robin’s previous number at the Club) at the Great Blakenham Slotstox Club! With Paul as Captain, the ‘Jokers’ team won the Slotstox Foxhall Team Championship for a fourth time following 1991, 1992 and 1999. Chris won a fifth Slotstox Foxhall Team Championship having been Captain ‘Jokers’ team 1991 and 1992, a 1999 ‘Jokers’ team member and a 1997 ‘Gumby’s’ team member. This meant Chris won the Slot-Saloons Foxhall Points Championship and Slotstox Foxhall Team Championship in the same season for a third time following 1991 and 1999. Robin won a third Slotstox Foxhall Team Championship having been a ‘Team Reg’ member in 1990 and 1993. Robin became the second driver to win the Slot-Saloons Foxhall Championship and Slotstox Foxhall Team Championship in the same season following George Palmer (1992 ‘Jokers’ team member). Carl Brett: 3 – member 1995 ‘Hot Wods’, 1997 ‘Gumbys’ and 2000 ‘Cheque Book Racers’. With the Slotstox Foxhall Team Championship following the new format introduced the previous season and although not well received by some drivers it did result in the ‘Jokers’ team winning the championship on the very last race! The ‘Clowns’ team of Brett duo: son Carl and dad Keith plus Graeme Canty (with a better result than at the Wisbech Fen Tigers Slotstox Club 'Open' Team Championship!) pushing the ‘Jokers’ all the way. Having had a number of disappointments during the season, Graeme's efforts were rewarded with a 'Services to Slotstox' award presented jointly by the Club and the Great Blakenham Slotstox Club at the Great Blakenham Slotstox Club hosted end of season 'Christmas Open meeting' on 21st December. After the Aldershot Knights Slotstox Club’s three ‘Open’ championships event in 2002, this season saw a two ‘Open’ championships event on 30th November. With the ‘National Slotstox Rules’ class having not proved popular at the Aldershot Knights Slotstox Club these were dropped. This left the Slotstox English ‘Open’ Championship raced to Aldershot Knights Slotstox Club Slotstox construction rules and the Parmastox metal Slotstox Southern ‘Open’ Championship. This restricted the number of visiting Club drivers racing borrowed and unfamiliar cars. Host club driver Clint Brazier won the Slotstox English ‘Open’ Championship for the third-season-in-a-row. Clint became the second driver to win the Slotstox English Championship three times following Julian Beaumont (1987, 1988 and 1990). The Parmastox Southern ‘Open’ Championship was won by host club driver Wayne Hemmings with the Club’s Mark West finishing 5th. The two finals featured a `whose who` of ‘real’ Stock Car racing. The Club’s Alex Dickings scored 33 points in the Slotstox English `Open` Championship - 33 more than scored by the considerably more experienced Mark Banham with the same Slotstox a season earlier! On 6th November a Club team represented by Mark Banham and Mark West borrowed Parmastox (plus Arena Slotstox Club driver Liam Friel replacing James Scales from the previous season’s team) to race against Aldershot Knights Slotstox Club, Arena Slotstox Club and Wellgate Slotstox Club teams in the Parmastox Arena Team `Open` Championship. With ten teams racing, as in the previous season the Club team finished sixth. Ken Holmes from the Wellgate Slotstox Club teamed up with host club drivers Sam Young and Jack Woodroffe to win the Parmastox Arena Team `Open` Championship. This followed a trip by Club drivers earlier in the season, on 20th February, to the Arena Slotstox Club Parmastox 'Open` Championship. This meeting included drivers from the Great Blakenham Slotstox Club also borrowing Parmastox. Various visitors struggled with the Parmastox as host club driver Dominic Porter won the Arena Slotstox Club Parmastox 'Open` Championship. The message from the regular Parmastox drivers being: 'just need to know how to drive them'! At the Club’s end of season gala night meeting on 12th December: Amy Parsons became the first lady winner of the Slotstox Foxhall Under 15’s Championship; Amy’s sister Rachael won the Slot-Rubbish Rally Foxhall Championship and Amy and Rachael’s dad Gary completed a Parson’s family hat-trick by winning the Slot-Saloon and Caravan Foxhall Championship! The Club’s end of season gala night meeting featured for the first time 'Unlimited' Slot-Bangers including a couple of Slot-Bangers marginally outside the rulebook! Also the presentation of all Club trophies with Noel accepting the cash equivalent for donation to charity instead of trophies! Away from the Club, two Great Blakenham Slotstox Club hosted Slotstox 'Open' Championships were won by drivers from the host club. Whilst in 2002 it was father and son Kevin and Bradley Mitchell; this season it was brother’s Jason and Justin Osborn as Jason won the Slotstox Coca Cola 300 Championship on 23rd July open to all drivers without a major Slotstox championship win and Justin won the Slotstox Under 18's Championship at the end of season 'Christmas Open meeting' on 21st December. The Club’s Slotstox statistics for the season show that six drivers achieved heat maximums with Jim Glading achieving four. With 30 drivers on the Slotstox Foxhall Points Championship chart: 24 drivers qualified for at least one semi-final and 20 drivers qualified for at least one final. Most semi-final appearances went to Paul Glading - 24 followed by Mark Banham - 23 and Jim and Noel Whinney - 22 whilst most final appearances went to Paul - 19, followed by Noel - 18 and Jim - 16. 11 drivers won a final: Noel won the most - 7 followed by Paul - 6. The Club’s Slot-Saloons statistics for the season show that seven drivers achieved a heat maximum with Noel Whinney achieving five. With 29 drivers on the Slot-Saloons Foxhall Points Championship chart: 24 drivers qualified for at least one semi-final and 17 drivers qualified for at least one final. Most semi-final appearances went to Paul Glading - 13 followed by Chris Butcher - 12 and Jim Glading and Carl Brett - 11 whilst most final appearances went to Chris and Noel - 9. 6 drivers won a final: Chris and Noel won the most - 3 each. The Club’s Slot-Bangers statistics for the season show that one driver achieved a heat maximum - Mark West with possibly the first ever heat maximum in Slot-Bangers! With 13 drivers on the Slot-Bangers Foxhall Points Championship chart: 10 drivers qualified for at least one final appearance. Most final appearances went to Paul Glading - 12 followed by Jim Glading - 11. 5 drivers won a final: Paul won the most - 5. For the second season running the Club ran a stall at the Grundisburgh Village Show. Chris Butcher and Mark Banham ran the stall with the assistance of Alex Dickings, Dougie Kemp, Anthony Chapman all showing enthusiasm and promoting the Club in the right spirit on the day. A Grundisburgh Village Show Championship was held open to non-Club members and Stuart Vanlint won. More Club publicity as after Noel Whinney had run a Club website in recent seasons, the Clubs details were listed on the Suffolk County Council infolink website and also added to the Grundisburgh Village website. The Club also had a listing on the Slot Car Portal website. Sad news this season was the passing of 'Friend of the Club' John Earrey - stadium manager for most of the seasons that the Club were based at the Foxhall Stadium. John was also involved at the Grundisburgh Football Club based in the same village that the Club were now based at. Two one minute silences - one on the Club night following John's passing and one at the Slotstox World Championship - were impeccably observed and were a fitting tribute for how highly John was regarded. As in 2003, two drivers dominated the season: Noel Whinney and Paul Glading. Noel won the Slotstox World Championship for a third-season-in-a-row. The Slotstox World Championship moved back to, until for various reasons over the previous few seasons, its more traditional December date. The 12th December date saw Chris Butcher and Mark West nursing hangovers from work christmas parties the night before but still finished second and third respectively! Forty-nine drivers were racing and included for the first time representation from the Arena-Essex Slotstox Club borrowing Slotstox from the Club. One of the Arena-Essex Slotstox Club drivers Dan I'Anson, using the Slotstox won earlier in the season by Mark Banham in the raffle at the Great Blakenham Slotstox Club hosted Slotstox British 'Open' Championship, finished 5th. Certain Club members again contributed towards a general kitty to sponsor the Slotstox World Championship whilst the Great Blakenham Slotstox Club once again donated 'Top visitor' and 'Top junior' trophies. Courtesy of Club chairman Mark Banham, a preview appeared in The Grundisburgh and District News: the local village magazine. Noel won the Slotstox Foxhall Points Championship for a fifth time following 1997, 1999, 2000 and 2001. Noel became the second driver to win the Slotstox Foxhall Points Championship on five or more occasions following six-time champion Paul Mower (1987, 1988, 1989, 1991, 1992 and 1994). Noel also won the Slot-Saloons Foxhall Championship on 5th November. Noel became the third driver to win the Slotstox World Championship and Slot-Saloons Foxhall Championship in the same season following Sharon Brett (1996) and Paul Glading a season later (1997). Noel also won the Slotstox Foxhall 'Unofficial' Olympics! Away from the Club, Noel defended the Great Blakenham Slotstox Club hosted Slotstox British ‘Open’ Championship on 7th March. Noel's Slotstox British Championship win meant it was three Whinney family wins in this event in four years following Noel's brother Kevin in 2001 (when named the English). Also at the Great Blakenham Slotstox Club, Noel defended the Slotstox ‘Club’ Championship on 14th November and won the Slotstox Great Blakenham Points Championship for a third time following 2001 and 2002. This meant that Noel won the Slotstox Foxhall Points Championship and Slotstox Great Blakenham Points Championship in the same season for a second time following 2001. The Slotstox British 'Open' Championship was sponsored by Elite Racing Scotland and Ipswich Evening Star. Fifty-three drivers were racing including representatives from the Midland Slotstox Racing Association (M.S.R.A). The M.S.R.A. race metal Slotstox to the same rulebook enabling drivers to travel from club to club with a metal Slotstox legal to race: the National Slotstox Association (N.S.A.) is based on a similar principle between the Club, Great Blakenham Slotstox Club and Wisbech Fen Tigers Slotstox Club. Club drivers finished first and second in the visitors top non-quarter-final qualifiers final with Keith Brett beating Mark Banham by two points! On a light-hearted note, the Slotstox British 'Open' Championship saw the kidnapping of the ‘A12 Brigade’ team mascot 'Rockin Ron the Reindeer'. The reindeer with a cult following among members of the Aldershot Knights Slotstox Club and Arena-Essex Slotstox Club following visits to both clubs was thankfully released (avoiding weapons of minor distraction apparently) and safely returned to the team! Outgoing Slotstox Foxhall Points Champion (winner for the previous two seasons), Paul, defended the Slotstox East Anglian Championship, Slotstox Suffolk Championship, Slotstox Foxhall Grand Prix Series Championship and Slotstox Foxhall Grand National Championship (held at the Club's end of season gala night meeting on 10th December). Paul also won the Slot-Bangers Foxhall Championship for the third-season-in-a-row - beating dad Jim in a run-off making it four Glading family wins in a-row as Jim won in 2001! Paul became the second driver to defend the Slotstox East Anglian Championship and Slotstox Suffolk Championship in the same season following Paul Mower (1986 and 1987). With the Club hosting the Slotstox Suffolk Championship on 4th June and the Great Blakenham Slotstox Club hosting the Slotstox East Anglian Championship on 9th June, this meant Paul defended these two championships in the space six days having won these two championships in 2003 also in the space of six days - 6th and 11th June respectively! With the final round of the Slotstox Foxhall Grand Prix Series Championship held on 21st May, Paul won three championships in the space of two-and-a-half weeks! Paul became the fourth driver to defend the Slotstox East Anglian Championship following Paul plus Daren Earrey (1991 and 1992) and Neil Clarke (1993 and 1994). Paul became the fifth driver to win the Slotstox East Anglian Championship twice following Paul, Daren and Neil plus Julian Beaumont (1984 and 1988). Paul became the fourth driver to win the Slotstox Suffolk Championship twice following Paul plus Kevin Thurlow (the inaugural Slotstox Suffolk Championship in 1985 and 1991) and Noel (1996 and 2002). Paul won the Slotstox Foxhall Grand Prix Series Championship for a third time having also won in 1998. Paul became the second driver to win the Slotstox Foxhall Grand Prix Series Championship on three or more occasions following four-time champion Paul Mower (1987, 1989, 1991 and 1992). Paul became the fourth driver to defend the Slotstox Foxhall Grand Prix Series Championship following Paul plus Chris Butcher (1993 and 1995 – 1994/5 saw the Slotstox Foxhall Grand Prix Series Championship change from being a championship run during one season to a championship run over the second-half of one season and the first half of the following season) and Noel (2000 and 2001). Paul became the second driver to defend the Slotstox Foxhall Grand National Championship following dad Jim (winner of the first three held - 1997, 1998 and 1999). Paul became the third driver to win the Slotstox Foxhall Grand National Championship on two or more occasions following three-time champion Jim plus fellow two-time champion Noel (2000 and 2002). Paul became the second driver to win the Slotstox Suffolk Championship, Slotstox Foxhall Grand National Championship and Slot-Bangers Foxhall Championship in the same season following dad Jim in 1998. Paul became the third driver to win the Slotstox Suffolk Championship and Slotstox Foxhall Grand National Championship in the same season following dad Jim plus Noel (2002). Away from the Club, Paul won the Great Blakenham Slotstox Club hosted Slotstox Champion of Champions Championship on 21st July. Mark also won the Slot-Bangers Foxhall Points Championship for a second time following 2002. Mark became the third driver to win the Slot-Bangers Foxhall Points Championship on two or more occasions following five-time champion Paul Glading (1997, 1998, 1999, 2000 and 2003) and two-time champion Paul Mower (1993 and 1994). Mark Banham won the Slot-Saloons Foxhall Points Championship for a second time following 1997. Mark became the third driver to win the Slot-Saloons Foxhall Points Championship on two or more occasions following four-time champion Chris Butcher (1991, 1999, 2002 and 2003) and two-time champion Neil Clarke (1995 and 1996). Mark also won the Slot-Saloon and Caravan Foxhall Championship for a second time following 1999 at the Club's end of season gala night meeting on 10th December. Mark became the second driver to win the Slot-Saloons Foxhall Points Championship and Slot-Saloon and Caravan Foxhall Championship in the same season following Neil (1996). Not distracted by the kidnapping of their mascot 'Rockin Ron the Reindeer' earlier in the season at the Great Blakenham Slotstox Club hosted Slotstox British 'Open' Championship, Mark Banham and Mark West teamed up with Alex Dickings as the ‘A12 Brigade’ team won the Wisbech Fen Tigers Slotstox ‘Open’ Team Championship on 1st May. Mark West won the Wisbech Fen Tigers Slotstox ‘Open’ Team Championship and Slot-Bangers Foxhall Points Championship in the same season for a second time following 2002 when a member of the ‘O.M.B. Racing’ team. Mark became the second driver to win the Wisbech Fen Tigers Slotstox ‘Open’ Team Championship and Slotstox Foxhall Championship in the same season following Noel (2000 ‘Cheque Book Boys’ team member and 2003 ‘Team Viagra’ member). The Aldershot Knights Slotstox Club’s ‘Open’ championships event on 28th November followed the same format as 2003 with the Slotstox English ‘Open’ Championship raced to Aldershot Knights Slotstox Club Slotstox construction rules and the Parmastox metal Slotstox Southern ‘Open’ Championship. This again restricted the number of visiting drivers racing borrowed and unfamiliar cars but Club representation included the Wisbech Fen Tigers Slotstox ‘Open’ Team Championship winning ‘A12 Brigade’ team duo Mark Banham and Mark West. With a borrowed Parmastox, Mark West won the Parmastox Southern ‘Open’ Championship. Gary Reynolds won the Slotstox English ‘Open’ Championship Mark Banham finishing fourth. Steve Lambert was runner-up in the Parmastox Southern ‘Open’ Championship and the Slotstox English ‘Open’ Championship! Outgoing Slot-Saloons Foxhall Points Champion Chris Butcher (winner for the previous two seasons), may have missed out on a hat-trick of Slot-Saloons Foxhall Points Championship titles but did defend and win a sixth Slotstox Foxhall Team Championship as a member of ‘The Nuts’ team on 26th November. Chris was Captain ‘Jokers’ team 1991 and 1992, a 1997 ‘Gumbys’ team member plus a 1999 and 2003 ‘Jokers’ team member. With Chris's wife Rachael being a member of the 2002 Westy's Flyers team: this was a hat-trick of Butcher family wins in the Slotstox Foxhall Team Championship! Another Butcher family win as Megan, daughter of multi-champion Chris and 1995 Slotstox English Champion and 1995 Slotstox Suffolk Champion Rachael (nee Squirrell) won the Slot-Rubbish Rally Foxhall Championship at the Club's end of season gala night meeting on 10th December. The ‘Nuts’ team Captain was Luke Hodgkinson whilst the third team member was Rachael Parsons. Chris became the third driver to defend the Slotstox Foxhall Team Championship twice following Noel (1991 and 1992 ‘Jokers’ team member plus Captain ‘Jokers’ team 1999 and Captain ‘Cheque Book Racers’ team 2000) and Mark Banham (Captain ‘Gumbys’ team 1996 and 1997 plus 2000 ‘Cheque Book Racers’ team member and 2002 ‘Westy's flyers’ team member - the Slotstox Foxhall Team Championship was not held in 2001). Rachael won the Slotstox Foxhall Team Championship for a second time following being a 2002 ‘Westy's flyers’ team member. Anthony Squirrell: 2 – member 1999 ‘Jokers’ and 2000 ‘Cheque Book Racers’. Away from the Club, Rachael won an individual championship: the inaugural Great Blakenham Slotstox Club hosted Slotstox Ladies’ Championship at the end of season 'Christmas fun meeting' on 19th December. Rachael's dad Gary, also a Club member, won the Slotstox Great Blakenham Summer Series Championship. Whilst the 2003 Slotstox Foxhall Under 15’s Championship had its first lady winner, Rachael's sister and Gary's daughter Amy; a late finish at the Club’s 2003 end of season gala night meeting meant that a run-off for second place was held over until the start of this season. Charlotte Bater beat Alex Butcher...racing Slot-Bangers (certainly a novel idea!) for a lady driver first and second finish! The Slotstox Foxhall Under 15’s Championship was not held in 2004. The Arena-Essex Slotstox Club attendance for the first time at the Slotstox World Championship was preceded by Club representation at two Arena-Essex Parmastox 'Open' Championship meetings. Host club driver Rob Porter won the Arena-Essex Slotstox Club Parmastox 'Open` Championship whilst Mark West finished fifth in the B-final, Alex seventh in the B-final and Mark Banham won the C-final. This was followed on 4th November as the Wisbech Fen Tigers Slotstox ‘Open’ Team Championship winning ‘A12 Brigade’ team duo Mark Banham and Mark West once again borrowed Parmastox (and Arena-Essex Slotstox Club driver Liam Friel) to represent the Club as the ‘A12 Brigade’ team in the Parmastox Arena-Essex Team `Open` Championship. With eight teams racing, the ‘A12 Brigade’ team were eliminated at the semi-final stage as the ‘Dandy & the Jockstraps’ team of Chris Branch, Jack Branch and Dan I'Anson from the host club won the Parmastox Arena-Essex Team 'Open' Championship. Following 2003, due to maintenance work being carried out on the Club's five-lane tracks, the Slotstox Suffolk Championship was again raced on the Club's four-lane track. This meant that the Slotstox Suffolk Championship, Slotstox Foxhall Championship and Slotstox World Championship were raced at the Club on different tracks / centre sections. This season saw the a few drivers just racing at the Slot-Saloons / Slot-Bangers meetings and Slotstox Foxhall Grand Prix Series Championship rounds - resulting in drivers at Slot-Saloons / Slot-Bangers meetings outnumbering those at Slotstox meetings that were non-Slotstox Foxhall Grand Prix Series Championship rounds! The Club fixture list was arranged so that a Slotstox Grand Prix Series Championship round clashed with the BBC 'Childen in Need' charity evening when drivers paid extra to race with a share of the weekly race fees then being donated to the charity! After struggling for numbers the previous few seasons a tremendous seventeen drivers were racing at the first Slot-Bangers meeting of the season. As well as easter eggs galore; the Club’s Easter meeting on 9th April also featured, following several previous appearances at the Great Blakenham Slotstox Club, an Elvis impersonation appearance before and after the meeting by Club member Graeme Canty! Graeme was gathering a reputation for being an entertainer having written several observative and amusing Slotstox trip stories in each of the Club's and the Great Blakenham Slotstox Club's newsletters! The Club’s end of season gala night meeting on 10th December again featured 'Unlimited' Bangers and once again with the presentation of all Club trophies, Noel accepted the cash equivalent for donation to charity instead of trophies. Away from the Club, two Great Blakenham Slotstox Club hosted Slotstox 'Open' Championships were won by drivers from the host club. Matthew Stemp won the Slotstox Under 18's Championship at the end of season 'Christmas fun meeting' on 19th December whilst on 21st July outgoing Slotstox Under 18’s Champion Justin Osborn became the second member of the Osborn family to win the Slotstox Coca Cola 300 Championship, open to all drivers without a major Slotstox championship win, following brother Jason the previous season. Having taken a break over the summer with Gary Parsons and Peter Rose standing in, Mark Banham resigned as Club chairman at the end of the season. Having previously held the position from 1995 to 1999, Chris Butcher was re-elected as Club chairman. Due to a reduction in the number of Club members, after twelve editions the Club newsletter ceased in April. Noel Whinney won the Slotstox World Championship for a fourth-season-in-a-row hosted by the Club on 11th December. Following agreement by the Club, Great Blakenham Slotstox Club and Wisbech Fen Tigers Slotstox Club to rotate the Slotstox World Championship a draw was undertaken during this seasons event to determine the order of this rotation and more importantly which club would host the 2006 Slotstox World Championship! The Wisbech Fen Tigers Slotstox Club were drawn first and so would host in 2006, the Great Blakenham Slotstox Club were drawn second and so would host in 2007 with the Club being drawn third and so would host again in 2008. This rotation would then continue. Noel won the Great Blakenham Slotstox Club hosted Slotstox British ‘Open’ Championship for a third-season-in-a-row. Noel's Slotstox British Championship win meant it was four Whinney family wins in this event in five seasons following Noel's brother Kevin in 2001 (when named the English). Noel also won another Great Blakenham Slotstox Club hosted championship: the Slotstox East Anglian Championship on 8th June. At the Club, Paul Glading dominated the Foxhall Points Championships and Foxhall Championships in all formulae. In Slotstox, Paul won the Slotstox Foxhall Points Championship and the Slotstox Foxhall Championship. After the controversy of the 2002 Slotstox Foxhall Championship, when the championship was awarded to Paul before an erroneously recorded race result was spotted which changed the scores, Paul this season did win the Slotstox Foxhall Championship. Paul won the Slotstox Foxhall Points Championship for a fourth time and third in four seasons following wins in 1998, 2002 and 2003. In Slot-Saloons, Paul won the Slot-Saloons Foxhall Points Championship and the Slot-Saloons Foxhall Championship. Paul won the Slot-Saloons Foxhall Points Championship for a second time following 1998. This meant Paul won the Slotstox Foxhall Points Championship and Slot-Saloons Foxhall Points Championship in the same season for a second time following 1998. Paul won the Slot-Saloons Foxhall Championship for a second time following 1997. In Slot-Bangers, Paul won the Slot-Bangers Foxhall Championship for a fourth-season-in-a-row. This meant Paul won the Slotstox Foxhall Points Championship and Slot-Bangers Foxhall Championship in the same season for a third time following 2002 and 2003. Winning the Slotstox Foxhall Championship meant Paul had won a Foxhall Championship in four of the Club’s formulae: Slotstox, Slot-Saloons (1997 and 2005), Slot-Bangers (2002, 2003, 2004 and 2005) and Slot-Rubbish Rally (2002)! Only Mark West defending the Slot-Bangers Foxhall Points Championship denied Paul from winning the Foxhall Points Championships and Foxhall Championships in Slotstox, Slot-Saloons and Slot-Bangers! Mark won the Slot-Bangers Foxhall Points Championship for a third time having also won in 2002. Mark became the second driver to win the Slot-Bangers Foxhall Points Championship on three or more occasions following five-time (including four-seasons-in-a-row) champion Paul (1997, 1998, 1999, 2000 and 2003). Having won the Slot-Bangers Foxhall Points Championship four-seasons-in-a-row: Paul had now equalled this in the Slot-Bangers Foxhall Championship! Mark became the third driver to defend the Slot-Bangers Foxhall Points Championship following Paul and also Paul Mower - surprisingly making a short term comeback during this season - (1993 and 1994). With Mark defending the Slot-Bangers Foxhall Points Championship, this meant Paul was denied winning the Foxhall Points Championships for Slotstox, Slot-Saloons and Slot-Bangers in the same season for what would have been a second time following 1998. In addition to Paul in 1998, Paul Mower (1994) and Neil Clarke a season later (1995) won the Foxhall Points Championships for Slotstox, Slot-Saloons and Slot-Bangers in the same season. Paul became the third driver to win the Slotstox Foxhall Points Championship on four or more occasions following six-time champion Paul Mower (1987, 1988, 1989, 1991, 1992 and 1994) and five-time champion Noel (1997, 1999, 2000, 2001 and 2004). Paul became the sixth driver to win the Slotstox Foxhall Points Championship and Slotstox Foxhall Championship in the same season following Dean Cox (1985), Paul Mower (1988), Clive Day (1990), Neil Clarke (1995) and Noel (1997, 1999, 2000 and 2001). Paul became the fourth driver to win the Slot-Saloons Foxhall Points Championships on two or more occasions following four-time champion Chris Butcher (1991, 1999, 2002, 2003) plus two-time champions Neil Clarke (1995 and 1996) and Mark Banham (1997 and 2004). This meant that Paul's two wins in the Slot-Saloons Foxhall Points Championship had been the season following each of Mark's two wins in the Slot-Saloons Foxhall Points Championship! Chris winning the Slot-Saloons Foxhall Points Championship in 2003 meant another occasion Paul was denied winning the Foxhall Points Championships for Slotstox, Slot-Saloons and Slot-Bangers in the same season! Paul became the third driver to win the Slot-Saloons Foxhall Championship on two or more occasions following three-time champion Robin Bater (1994, 1998 and 2003) and two-time champion Keith Brett (2000 and 2001). Robin won a further Slot-Saloons Championship this season: the Slot-Saloon and Caravan Foxhall Championship. Paul became the second driver to win the Slotstox Foxhall Points Championship and Slot-Saloons Foxhall Championship in the same season following Noel Whinney a season earlier (2004). Paul also captained ‘Team impact’ to win the Slotstox Foxhall Team Championship. Away from the Club, Paul also won the Slotstox Great Blakenham Points Championship: winning the Slotstox Foxhall Points Championship and Slotstox Great Blakenham Points Championship in the same season for a second time following 2003. Paul became the second driver to win the Slotstox Foxhall Points Championship and Slotstox Great Blakenham Points Championship in the same season twice following Noel (2001 and 2004). Paul was also the outgoing champion for four major Slotstox titles: the Slotstox East Anglian Championship (won by Noel), the Slotstox Suffolk Championship, the Slotstox Foxhall Grand Prix Series Championship and the Slotstox Foxhall Grand National Championship. The Slotstox Suffolk Championship did at least stay in the Glading family with dad Jim winning on 4th June. With Paul having won the Slotstox Suffolk Championship in 2003 and 2004, Jim’s win saw a Glading family hat-trick! Jim won the Slotstox Suffolk Championship for a second time following 1998. Jim became the fifth driver to win the Slotstox Suffolk Championship twice following Paul plus Kevin Thurlow (the inaugural Slotstox Suffolk Championship in 1985 and 1991), Paul Mower (1986 and 1987) and Noel (1996 and 2002). This meant Jim was the third driver to win a second Slotstox Suffolk Championship six seasons after winning the first following Kevin and Noel! Away from the Club, Jim won the Great Blakenham Slotstox Club hosted Slotstox Champion of Champions Championship becoming the second Glading family member to win this championship by also taking this title off son Paul! This meant Jim became the second driver to win the Slotstox Suffolk Championship and Slotstox Champion of Champions Championship in the same season following Paul a season earlier (2004). Slot-Bangers Foxhall Points Champion Mark also won the Slotstox Foxhall Grand Prix Series Championships for a second time following 2002 with the final round held on 17th June. This meant Mark won the Slotstox Foxhall Grand Prix Series Championship and Slot-Bangers Foxhall Points Championship in the same season for a second time following 2002. Mark became the fifth driver to win the Slotstox Foxhall Grand Prix Series Championship on two or more occasions following four-time Champion Paul Mower (1987, 1989, 1991 and 1992), three-time champion Paul Glading (1998, 2003 and 2004) plus two-time champions Chris Butcher (1993 and 1995) and Noel (2000 and 2001). Mark became the second driver to win the Slotstox Foxhall Grand Prix Series Championship and Slot-Bangers Foxhall Points Championship in the same season on two occasions following Paul Glading (1998 and 2003). This meant that this was the third season in four that the same driver had won the Slotstox Foxhall Grand Prix Series Championship and Slot-Bangers Foxhall Points Championship in the same season - whilst in 2004 Paul won the Slotstox Foxhall Grand Prix Series Championship whilst Mark won the Slot-Bangers Foxhall Points Championship! Gareth Parker won the Slotstox Foxhall Grand National Championship whilst Gareth and Sharon Parker’s (nee Brett: 1996 Slotstox World Champion) son Jack won the Slot-Rubbish Rally Foxhall Championship. As Captain of ‘Team impact’, Paul won a second Slotstox Foxhall Team Championship following Captain ‘Jokers’ 2003. This meant Paul won the the Slotstox Foxhall Points Championship, Slot-Bangers Foxhall Championship and Slotstox Foxhall Team Championship in the same season for a second time and second time in three seasons following 2003. Paul became the second driver to win the Slotstox Foxhall Points Championship, Slotstox Foxhall Championship and Slotstox Foxhall Team Championship in the same season following Noel (Captain ‘Jokers’ 1999 and Captain ‘Cheque Book Racers’ team 2000). Paul became the second driver to win the Slotstox Foxhall Points Championship and Slotstox Foxhall Team Championship in the same season twice following Noel (1999 and 2000). Paul became the third driver to win the Slotstox Foxhall Championship and Slotstox Foxhall Team Championship in the same season following Noel and Chris Butcher (Captain ‘Jokers’ team 1991 and 1992). Paul became the third driver to win the Slotstox Foxhall Team Championship and Slot-Saloons Foxhall Points Championship in the same season following Chris (Captain ‘Jokers’ 1991, 1999 ‘Jokers’ team member and 2003 ‘The Nuts’ team member) and Mark Banham (Captain ‘Gumbys’ 1997). Paul became the third driver to win the Slotstox Foxhall Team Championship and Slot-Saloons Foxhall Championship in the same season following George Palmer (1992 ‘Jokers’ team member) and Robin Bater (2003 ‘The Nuts’ team member). Paul became the fifth driver to be a Slotstox Foxhall Team Championship winning Captain on more than one occasion following Paul Mower (‘Team Reg’ 1989, 1990 and 1993), Chris Butcher (‘Jokers’ team 1991 and 1992), Mark Banham (‘Gumbys’ team 1996 and 1997) and Noel (‘Jokers’ team 1999 and ‘Cheque Book Racers’ team 2000). ‘Team Impact’ team members were Carl Brett winning a fourth Slotstox Foxhall Team Championship following 1995 ‘Hot Wods’ team member, 1997 ‘Gumbys’ team member and 2000 ‘Cheque Book Racers’ team member; plus Simon Turnbull. As well as winning the Slotstox Foxhall Grand Prix Series Championship and defending the Slot-Bangers Foxhall Points Championship, Mark West also defended the Wisbech Fen Tigers Slotstox 'Open' Team Championship on 28th May as a member of the ‘A12 Brigade’ team. Mark along with Mark Banham were members of the 2004 Wisbech Fen Tigers Slotstox 'Open' Team Championship winning ‘A12 Brigade’ team whilst Mark Banham’s dad Peter replaced Alex Dickings. The ‘A12 Brigade’ team became the second team to defend the Wisbech Fen Tigers Slotstox ‘Open’ Team Championship and win on more than one occasion following three-time champions ‘Fen Tigers’ (winners of the first two - 1998 and 1999 plus 2001). Mark West won the Wisbech Fen Tigers Slotstox ‘Open’ Team Championship for a third time having been a member of the 2002 ‘O.M.B. Racing’ team. Mark won the Wisbech Fen Tigers Slotstox ‘Open’ Team Championship and Slot-Bangers Foxhall Points Championship in the same season for a third time following 2002 and 2004. Away from the Club, Club member Gary Parsons won the Slotstox ‘Club’ Championship at the Great Blakenham Slotstox Club whilst Gary’s daughter Rachael, also a Club member, defended the Great Blakenham Slotstox Club hosted Slotstox Ladies Championship. The Club’s end of season gala night meeting again featured 'Unlimited' Slot-Bangers. There was again Club representation at the Arena-Essex Parmastox 'Open' Championship on 17th February. Mark Banham and Mark West borrowing Parmastox to race against drivers from the host Arena-Essex Slotstox club as well as the Aldershot Knights Slotstox Club and Wellgate Slotstox Club. Ill health, clashing half-terms and many members being at work (the championship was on a Thursday) affected the number of drivers racing. Dominic Porter from the host club won the Arena-Essex Slotstox Club Parmastox 'Open` Championship for a second time following 2003. Dominic's Parmastox had initially failed scrutineering before the meeting - not unusual, except that Dominic was the Arena-Essex Slotstox Club's new scrutineer! The the two Mark's made the Championship final - Mark West finishing fourth and Mark Banham finishing sixth. The meeting included a win for the oldest participant, host club driver 75 year-old Len Porter, in the C-final, having finished last in each heat raced in during qualifying! Away from the Club, two Great Blakenham Slotstox Club hosted Slotstox 'Open' Championships were won by drivers from the host club. Bradley Mitchell won the Slotstox Under 18's Championship for a second time following 2002. Outgoing Slotstox Under 18’s Champion Matthew Stemp won the Slotstox Coca Cola 300 Championship open to all drivers without a major Slotstox championship win. Following agreement by the Club, Great Blakenham Slotstox Club and Wisbech Fen Tigers Slotstox Club to rotate the Slotstox World Championship: a draw was undertaken during the 2005 event to determine the order of this rotation and more importantly which club would host the 2006 Slotstox World Championship! The Wisbech Fen Tigers Slotstox Club were drawn first and so would host in 2006, the Great Blakenham Slotstox Club were drawn second and so would host in 2007 with the Club being drawn third and so would host again in 2008. This rotation would then continue. The host Club may have changed but the Champion did not as Noel Whinney won the Slotstox World Championship for a fifth-season-in-a-row. Noel did not win the Great Blakenham Slotstox Club hosted Slotstox British ‘Open’ Championship for a fourth-season-in-a-row as youngster Lewis Mitchell won this championship. The Slotstox World Championship was held at the Emneth Central Hall on 10th December with thirty-three drivers racing. This was not the usual hall used by the Wisbech Fen Tigers Slotstox Club as they forgot to book! A long and at times controversial Slotstox World Championship got off to a less than perfect start with various visiting drivers delayed on route. The main controversy followed 1993 Slotstox World Champion Robin Bater winning the last quarter-final. Due to the delayed start to the meeting, Robin had to leave the meeting prior to the semi-finals. Lenghty discussions then followed before the decision was taken by the host club to reinstate Wisbech Fen Tigers Slotstox Club member John Bennington (fourth place finisher in the last i.e. Robin's quarter-final) in place of Robin. Robin had left thinking that a finishing position of sixth in the Slotstox World Championship B-final (twelveth overall) was secured. The reinstated John was eliminated at the semi-finals stage before finishing as runner-up in the Slotstox World Championship B-final. Noel won the Slotstox World Championship final (featuring three drivers from the host Wisbech Fen Tigers Slotstox Club) with a maximum - winning all of the 12 races! Although Noel had competed regularly at the Wisbech Fen Tigers Slotstox Club, this was the closest to a Slotstox World Championship win at an ‘away’ track since Paul Mower's win at the Aldershot Knights Slotstox Club in 1992 representing the Club. At the Club, Noel won the Slotstox Suffolk Championship for a third time following 1996 and 2002. Away from the Club, Noel won the Slotstox ‘Club’ Championship at the Great Blakenham Slotstox Club for a third time following 2003 and 2004. At the Club, Paul Glading defended the Slotstox Foxhall Points Championship and Slot-Saloons Foxhall Points Championship. Paul also won the Slotstox Foxhall Grand Prix Series Championship and Slotstox Foxhall Grand National Championship (beating Mark West in a run-off) having also finished first in the Slotstox Foxhall Grand National Championship qualifying points. Paul won the Slotstox Foxhall Points Championship for a fifth time and fourth in five seasons having also won in 1998, 2002 and 2003. Paul became the third driver to win the Slotstox Foxhall Points Championship on five or more occasions following six-time champion Paul Mower (1987, 1988, 1989, 1991, 1992 and 1994) and five-time champion Noel (1997, 1999, 2000, 2001 and 2004). This meant Paul and Noel had each won five Slotstox Foxhall Points Championships in the previous ten seasons! Paul became the third driver to defend the Slotstox Foxhall Points Championship on two or more occasions following Paul Mower Noel: Paul won three-seasons-in-a-row 1987, 1988 and 1999 followed by 1991 and 1992 whilst Noel won three-seasons-in-a-row 1999, 2000 and 2001. Paul won the Slotstox Foxhall Grand Prix Series Championship for a fourth time and third in four seasons following 1998, 2003 and 2004. Paul became the second driver to win the Slotstox Foxhall Grand Prix Series Championship on four occasions following Paul Mower (1987, 1989, 1991 and 1992). This meant Paul won the Slotstox Foxhall Points Championship and Slotstox Foxhall Grand Prix Series Championship in the same season for a third time following 1998 and 2003. Paul became the second driver to win the Slotstox Foxhall Points Championship and Slotstox Foxhall Grand Prix Series Championship in the same season on three or more occasions following Paul Mower (1987, 1989, 1991 and 1992). Paul won the Slotstox Foxhall Grand National Championship for a third time and third time in four seasons following 2003 and 2004. Paul won the the Slotstox Foxhall Grand Prix Series Championship and Slotstox Foxhall Grand National Championship in the same season for a third time and third time in four seasons following 2003 and 2004. Paul became the second driver to win the Slotstox Foxhall Grand National Championship on three or more occasions following dad Jim: winner of the first three Slotstox Foxhall Grand National Championships held (1997, 1998 and 1999). Paul won the Slot-Saloons Foxhall Points Championship for a third time having also won in 1998. Paul became the second driver to win the Slot-Saloons Foxhall Points Championship on three or more occasions following four-time champion Chris Butcher (1991, 1999, 2002 and 2003). Paul became the third driver to defend the Slot-Saloons Foxhall Points Championship following Chris plus Neil Clarke (1995 and 1996). Paul won the Slotstox Foxhall Points Championship and Slot-Saloons Foxhall Points Championship in the same season for a third time following 1998 and 2005. With Simon Turnbull winning the Slot-Bangers Foxhall Points Championship (the Previous season Mark West), this meant Paul was denied for the second-season-in-a-row winning the Foxhall Points Championships for Slotstox, Slot-Saloons and Slot-Bangers in the same season for what would have been a second time following 1998. Chris Butcher also denied Paul in 2003 by winning the Slot-Saloons Foxhall Points Championship! In addition to Paul in 1998: Paul Mower (1994) and Neil Clarke a season later (1995) won the Foxhall Points Championships for Slotstox, Slot-Saloons and Slot-Bangers in the same season. Away from the Club, Paul won the Great Blakenham Slotstox Club hosted Slotstox Champion of Champions Championship for a second time following 2004. With Paul’s dad Jim winning in 2005, this was a hat-trick of Glading family wins in the Slotstox Champion of Champions Championship! Chris won a further Slot-Saloons Championship this season: the Slot-Saloons Foxhall Championship. The final of the Slot-Saloons Foxhall Championship was not settled until the final race with three drivers able to win! Paul took the Slotstox Foxhall Grand National Championship title off Gareth Parker. In turn Gareth took the Slotstox Foxhall Championship title off Paul! Having traditionally been held over two weeks (initially four heats week one followed by one heat, quarter-finals, semi-finals and final week two before, due to a reduction in the number of drivers racing regularly removing the need for quarter-finals, reverting to four heats week one followed by two heats, semi-finals and final week two): due to a continued reduction in the number of drivers racing regularly the Slotstox Foxhall Championship reverted to a one week four heat, semi-finals, final format. Jack also won a lively and action packed Slot-Saloon and Caravan Foxhall Championship. Mark West won the Great Blakenham Slotstox Club hosted Slotstox East Anglian Championship for a second time following 2002. Mark became the sixth driver to win the Slotstox East Anglian Championship twice following Julian Beaumont (1984 and 1988), Paul Mower (1986 and 1987), Daren Earrey (1991 and 1992), Neil Clarke (1993 and 1994) and Paul Glading (2003 and 2004). Mark also won a very seriously contested Slot-Rubbish Rally Foxhall Championship and a not so seriously contested Slot-Bangers Foxhall Championship. Mark won the final of the Slot-Bangers Foxhall Championship despite only finishing four out of the ten races to end Paul Glading`s run of four-in-a-row Slot-Bangers Foxhall Championship wins and a Glading family run of five-in-a-row as Paul's dad Jim won in 2001! The final of the Slot-Bangers Foxhall Championship, like the Slot-Saloons Foxhall Championship the following week, was not settled until the final race with three drivers able to win! Mark became the second driver to win the Slotstox East Anglian Championship and Slot-Bangers Foxhall Championship in the same season following Paul Glading (2003 and 2004). This meant that this was the third season in four that the same driver had won the Slotstox East Anglian Championship and Slot-Bangers Foxhall Championship in the same season! Mark became the second driver to win the Slot-Bangers Foxhall Championship and Slot-Rubbish Rally Foxhall Championship in the same season following Paul Glading (2002). The ‘Young Guns’ team became the first Wisbech Fen Tigers Slotstox Club team since the ‘Fen Stars’ team (2001) to win the Wisbech Fen Tigers Slotstox ‘Open’ Team Championship on 27th May. The ‘Young Guns’ team members were Charlie Cole, Sam Cole and Shane Moat. In an all Wisbech Fen Tigers Slotstox Club final the ‘Young Guns’ team beat the ‘Fen Stars’ team. Another Glading family win away from the Club as Jim won the Slotstox Great Blakenham Points Championship. Another Club member Rachael Parsons, not only reached the Slotstox World Championship final but also won two Great Blakenham Slotstox Club hosted championships: the Slotstox Ladies Championship for a third-season-in-a-row and the Slotstox Coca Cola 300 Championship open to all drivers without a major Slotstox championship win. The Club’s end of season gala night meeting again featured 'Unlimited' Slot-Bangers with the usual mixture of wrecking and racing. After the closure of the 'old' Club website run by Noel Whinney; courtesy of Mark Banham a new Club website was published in March: http://foxhallfoxes.tripod.com/. Following agreement by the Club, Great Blakenham Slotstox Club and Wisbech Fen Tigers Slotstox Club to rotate the Slotstox World Championship: the draw undertaken at the 2005 event meant that this season the Great Blakenham Slotstox Club hosted the Slotstox World Championship for the first time on 2nd December - the twenty-fifth running of the Slotstox World Championship. One of the brainchild's behind the formation of the Great Blakenham Slotstox Club was Noel Whinney - Slotstox World Champion for the previous five-seasons-in-a-row. It was perhaps surprising then that Noel did not win the Slotstox World Championship for a six-season-in-a-row! Instead, Robin Bater won the Slotstox World Championship for a second time following 1993. Robin became the sixth driver to win the Slotstox World Championship on two or more occasions following five-time champion Noel plus two-time champions: Aldershot Knights Slotstox Club drivers Roger Gay (winner of the inaugural Slotstox World Championship in 1983 and 1987) and Gary Reynolds (1985 and 1989) together with Aaron Leek (1998 and 1999) and Paul Glading (1997 and 2000). Forty-one drivers were racing and following a few shock eliminations only one of the Slotstox World Championship finalists were representing the host Great Blakenham Slotstox Club! Robin became the first driver to win a Great Blakenham Slotstox Club hosted Slotstox World Championship, this after being the first driver to win a Club hosted Slotstox World Championship fourteen seasons previously! Robin became the second driver to win the Slotstox World Championship at two different Slotstox Clubs following Noel (Club: 2002, 2003, 2004 and 2005 and Wisbech Fen Tigers Slotstox Club: 2006). It may have been interesting if Robin had not needed to leave early from the 2006 Slotstox World Championship at the Wisbech Fen Tigers Slotstox Club! At the Club, Paul Glading was again the driver winning the most championships although Robin won the Slotstox Foxhall Championship on 7th September beating Paul in a run-off. Robin became the second driver to win a Slotstox Foxhall Championship, Slot-Saloons Foxhall Championship and Slot-Bangers Foxhall Championship following Paul. Paul won the Slotstox Foxhall Championship in 2005. Paul won the Slot-Saloons Foxhall Championship on 23rd November and the Slot-Bangers Foxhall Championship on 12th October. Paul won the Slot-Saloons Foxhall Championship for a third time and second in three seasons following 1997 and 2005. Paul became the second second driver to win the Slot-Saloons Foxhall Championship on three occasions following Robin (1994, 1998 and 2003). Paul won the Slot-Bangers Foxhall Championship for a fifth time and fifth in six seasons following four-seasons-in-a-row 2002, 2003, 2004 and 2005. Robin won the Slot-Bangers Foxhall Championship in 2000. This meant Robin also denied Paul from winning the Foxhall Championship for Slotstox, Slot-Saloons and Slot-Bangers in the same season for what would have been a second time following 2005. Although more of a fun formula: Paul has also won the Slot-Rubbish Rally Foxhall Championship (2002). Paul Mower has also won a Foxhall Championship in three of the Club’s formulae – Slotstox (1988), Slot-Bangers (1993 and 1994) and Slot Rods (1993). Coincidentally the second, third and fourth place drivers at the Slotstox Foxhall Championship finished in the same order as in 2006: Paul, Paul's dad Jim and Mark Banham. Outgoing Slotstox Foxhall Champion Gareth Parker finished fifth! As in 2006, the Slotstox Foxhall Championship was held over a one week four heat format. Robin became the second driver to win the Slotstox World Championship and Slotstox Foxhall Championship in the same season following Noel (2002 and 2003). In addition to winning the Slot-Saloons Foxhall Championship and Slot-Bangers Foxhall Championship, Paul won the Slotstox Foxhall Points Championship for the third-season-in-a-row and defended the Slotstox Foxhall Grand National Championship at the Club’s end of season gala night on 7th December (having also finished first in the Slotstox Foxhall Grand National Championship qualifying points). Paul also won the Slot-Bangers Foxhall Points Championship and the Great Blakenham Slotstox Club hosted Slotstox East Anglian Championship on 22nd August. Paul won a Slot-Bangers Foxhall Championship treble by also winning the Slot-Bangers Foxhall Pairs Championship paired with Gary Parsons. Paul won the Slotstox Foxhall Points Championship for a sixth time and fifth in six seasons having also won in 1998, 2002 and 2003. Paul became the second driver to win the Slotstox Foxhall Points Championship on six occasions following Paul Mower (1987, 1988, 1989, 1991, 1992 and 1994). Paul became the third driver to win the Slotstox Foxhall Points Championship three-seasons-in-a-row following Paul Mower plus five-time champion Noel Whinney (1999, 2000 and 2001 (plus 1997 and 2004)). Paul won the Slotstox Foxhall Grand National Championship for a fourth time, fourth in five seasons and defended this championship for a second time having also won in 2003 and 2004. This meant Paul won the Slotstox Foxhall Points Championship and Slotstox Foxhall Grand National Championship in the same season for a third time following 2003 and 2006. Paul won the Slotstox East Anglian Championship for a third time following 2003 and 2004. Paul won the Slot-Bangers Foxhall Points Championship for a sixth time following 2003 plus four-seasons-in-a-row: 1997, 1998, 1999 and 2000. Paul won the Slot-Bangers Foxhall Pairs Championship for a fourth time following 1997 (paired with dad Jim), 1999 (paired with Mark Banham) and 2000 (paired with Gareth Parker). With the Slot-Bangers Foxhall Pairs Championship not being held since 2000, this was a hat-trick of Slot-Bangers Foxhall Pairs Championship wins for Paul! With Paul's dad Jim winning in 1998 paired with Keith Brett; this was (a decade-plus) five-in-a-row Bangers Foxhall Pairs Championship wins for the Glading family! Paul won the Slot-Saloons Foxhall Championship, Slot-Bangers Foxhall Points Championship and Slot-Bangers Foxhall Pairs Championship in the same season for a second time following 1997. With Mark West winning the Slotstox East Anglian Championship and Slot-Bangers Foxhall Championship the previous season (2006), this meant that this was the fourth season in five that the same driver had won the Slotstox East Anglian Championship and Slot-Bangers Foxhall Championship in the same season! Away from the Club, Paul won the Slotstox Great Blakenham Points Championship for the third time following 2003 and 2005. This meant Paul won the Slotstox Points Championship at the Club and the Great Blakenham Slotstox Club in the same season for a third time. In addition to Gary’s win in the Slot-Bangers Foxhall Pairs Championship: another Parsons family win as Gary’s daughter Rachael won the Slot-Saloons Foxhall Pairs Championship paired with Darryl Gilder. With the Slotstox Foxhall Championship on the 7th, the final round of the Slot-Bangers Foxhall Points Championship held on the 14th, together with the Slot-Saloons Pairs Foxhall Championship and Slot-Bangers Pairs Foxhall Championship held on the 28th; September was a month in which four of the Club's championships were decided! In addition to winning the Slot-Saloons Foxhall Pairs Championship Rachael and Darryl each won an individual Slotstox ‘Open’ Championship hosted by the Great Blakenham Slotstox Club: Rachael defended the Slotstox Coca Cola 300 Championship on 25th July open to all drivers without a major Slotstox championship win; whilst Darryl won the Slotstox Under 18’s Championship at the end of season Christmas ‘Open’ meeting. Darryl also won the Slotstox Great Blakenham Summer Series Championship. Further Club members won Great Blakenham Slotstox Club hosted Championships: Amy Parsons, at the end of season Christmas ‘Open’ meeting, won the Slotstox Ladies Championship following wins at the first three held by sister Rachael; whilst Mark Banham won the Slotstox Champion of Champions Championship on 25th July. Mark also represented the Club at the Arena Parmastox 'Open' Championship on 1st March racing against drivers from the host club and the Wellgate Slotstox Club. Despite being third highest points scorer over the two heats, Mark qualified for the B-final; finishing third (ninth overall) as Graham Brant from the hosts won the Arena Slotstox Club Parmastox 'Open` Championship. With Mark West winning the Slot-Saloons Foxhall Points Championship, this meant Paul was denied winning the Foxhall Points Championships for Slotstox, Slot-Saloons and Slot-Bangers in the same season for what would have been a second time following 1998. Mark also denied Paul in 2005 from winning the Foxhall Points Championships for Slotstox, Slot-Saloons and Slot-Bangers in the same season - that time by winning the Slot-Bangers Foxhall Points Championship! Simon Turnbull denied Paul in 2006 also winning the Slot-Bangers Foxhall Points Championship whilst Chris Butcher denied Paul in 2003 by winning the Slot-Saloons Foxhall Points Championship! Mark won the Slot-Saloons Foxhall Points Championship for a second time following 2000. Mark became the fifth driver to win the Slot-Saloons Foxhall Points Championship on two or more occasions following four-time champion Chris Butcher (1991, 1999, 2002 and 2003), three-time champion Paul (1998, 2005 and 2006) plus two-time champions Neil Clarke (1995 and 1996) and Mark Banham (1997 and 2004). This meant Mark became the third driver to win a second Slot-Saloons Foxhall Points Championship seven seasons after winning the first following Paul and Mark Banham with each of Paul’s first two wins being the season following each of Mark Banham’s two wins! Mark also won the Slotstox Suffolk Championship and the Slotstox Foxhall Grand Prix Series Championship. The Slotstox Suffolk Championship hosted by the Club on 4th May saw four drivers achieve maximums in the heats on the Club’s four-lane track: eventual Slotstox Suffolk Champion Mark, Jim Glading plus the two highest points scorers in the heats: Luke Hodgkinson and Dominic Baldwin! Mark won the Slotstox Foxhall Grand Prix Series Championship for a third time and second time in three seasons following 2002 and 2005. Mark became the third driver to win the Slotstox Foxhall Grand Prix Series Championship on three or more occasions following four-time champions Paul Mower (1987, 1989, 1991 and 1992) and Paul Glading (1998, 2003, 2004 and 2006). Mark became the fifth driver to win the Slotstox Suffolk Championship and Slotstox Foxhall Grand Prix Series Championship in the same season following Paul Mower (1987), Clive Day (1990), Neil Clarke (1997) and Paul Glading (2003 and 2004). Mark became the second driver to win the Slotstox Foxhall Grand Prix Series Championship and Slot-Saloons Foxhall Points Championship in the same season following Paul (1998 and the previous season 2006). Outgoing Slotstox World Champion and Slotstox Suffolk Champion, Noel won the Great Blakenham Slotstox Club hosted Slotstox British ‘Open’ Championship on 4th March. Noel won the Slotstox British ‘Open’ Championship for a fourth time and fourth in five seasons following 2003, 2004 and 2005. It was also a fifth Whinney family win in seven seasons in this event following Noel's brother Kevin in 2001 (when named the English). Noel also defended the Slotstox ‘Club’ Championship at the Great Blakenham Slotstox Club. Noel won the Slotstox ‘Club’ Championship at the Great Blakenham Slotstox Club for a fourth time and defended this championship for a second time having also won in 2003 and 2004. Mark and Noel teamed up with Samantha Long as ‘Team Viagra’ won the Wisbech Fen Tigers Slotstox 'Open' Team Championship on 2nd June. 'Team Viagra' beat the defending Wisbech Fen Tigers Slotstox 'Open' Team Champions – the ‘Young Guns’ team from the Wisbech Fen Tigers Slotstox Club in the final. Two of the three ‘Young Guns’ team members were the same as the previous season: Sam Cole and Charlie Cole; whilst #8 replaced Shane Moat. After a close days racing it was surprising that the Championship final and B-final both resulted in maximum 15-6 wins! Mark won the Wisbech Fen Tigers Slotstox 'Open' Team Championship for a fouth time following being a member of 'O.M.B. Racing' team in 2002 and a member of the 'A12 Brigade' team in 2004 and 2005. Noel won the Wisbech Fen Tigers Slotstox 'Open' Team Championship for a third time following being a member of 'Cheque Book Boys' in 2000 and also the only remaining member of 'Team Viagra' in 2003. Team Viagra became third team to win the Wisbech Fen Tigers Slotstox 'Open' Team Championship on two or more occasions following the Wisbech Fen Tigers Slotstox Club's three-time champions team ‘Fen Stars’ (the first two held 1998 and 1999 plus 2001) and two-time champions: the Club's ‘A12 Brigade’ team (2004 and 2005). This meant Noel won the Slotstox British ‘Open’ Championship and Wisbech Fen Tigers Slotstox ‘Open’ Team Championship in the same season for a second time following 2003 and Mark won the Slotstox Foxhall Grand Prix Series Championship and Wisbech Fen Tigers Slotstox ‘Open’ Team Championship in the same season for a third time following 2002 and 2005. Mark became the second driver to win the Slot-Saloons Foxhall Points Championship and Wisbech Fen Tigers Slotstox ‘Open’ Team Championship in the same season following Mark Banham (2004). With the final round of the Slotstox Foxhall Grand Prix Series Championship held on 1st June and the Wisbech Fen Tigers Slotstox ‘Open’ Team Championship held on 2nd June, Mark won two championships in two days! Past member Julian Armes made a brief reappearance during the season bringing along son Leon. The Club’s end of season gala night meeting again featured 'Unlimited' Bangers whilst the Slot-Saloon and Caravans were held as a fun event rather than as a Foxhall Championship. Chris Butcher resigned as Club chairman at the Club's Annual General Meeting and with no one else willing to stand it was agreed that all decisions would be voted on by all Club members. Following agreement by the Club, Great Blakenham Slotstox Club and Wisbech Fen Tigers Slotstox Club to rotate the Slotstox World Championship the draw undertaken at the 2005 event meant that this season the Slotstox World Championship returned to the Club for the first time since 2005. Having hosted the Slotstox World Championship from 1993 to 2005: this was the fourteenth time the Club had hosted the Slotstox World Championship. Noel Whinney won the Slotstox World Championship for a sixth time and sixth in seven seasons following five-seasons-in-a-row 2002, 2003, 2004, 2005 (won at the Club) and 2006 (won at the Wisbech Fen Tigers Slotstox Club). The Slotstox World Championship was held on 14th December with twenty-five drivers racing. Paul won the Slotstox Foxhall Points Championship, Slot-Saloons Foxhall Points Championship and Slot-Bangers Foxhall Points Championship in the same season for the second time following 1998. Paul defended the Great Blakenham Slotstox Club hosted Slotstox East Anglian Championship on 20th August and won the Slotstox Foxhall Grand Prix Series Championship with the final round held on 8th August. Paul won the Slotstox Foxhall Points Championship for a fourth-season-in-a-row, sixth in seven seasons and a seventh in total having also won in 1998, 2002 and 2003. This was the twenty-fifth Slotstox Foxhall Points Championship and there have been ten different winning drivers. With Noel having won the Slotstox Foxhall Points Championship five times (1997, 1999, 2000, 2001 and 2004) either Paul or Noel has won the Slotstox Foxhall Points Championship since 1997! The last Slotstox Foxhall Points Champion prior to Noel or Paul was Chris Butcher (1996)! In addition to Noel, Paul Mower had won the Slotstox Foxhall Points Championship on five or more occasions: six (1987, 1988, 1989, 1991, 1992 and 1994) whilst along with Chris, Marcus Johnson (1984 – the inaugural Slotstox Foxhall Points Championship), Dean Cox (1985, Mark Cossey (1986), Clive Day (1990), Christer Earrey (1993) and Neil Clarke (1995) had each won one Slotstox Foxhall Points Championship. Paul won the Slotstox Foxhall Grand Prix Series Championship for a fifth time, second in three seasons and fourth in six seasons following 1998, 2003, 2004 and 2006. Paul won the Slotstox Foxhall Points Championship and Slotstox Foxhall Grand Prix Series Championship in the same season for a fourth time and second in three seasons following 1998, 2003 and 2006. Paul became the second driver to win the Slotstox Foxhall Points Championship and Slotstox Foxhall Grand Prix Championship in the same season on four occasions following Paul Mower (1987, 1989, 1991 and 1992). Paul won the Slot-Saloons Foxhall Points Championship for a fourth time and third in four seasons following 1998, 2005 and 2006. Paul won the Slotstox Foxhall Points Championship, Slotstox Foxhall Grand Prix Series Championship and Slot-Saloons Foxhall Points Championship in the same season for a third time and second in three seasons following 1998 and 2006. With Mark West winning the Slotstox Foxhall Grand Prix Series Championship and Slot-Saloons Foxhall Points Championship in 2007, this meant that this was the third-season-in-a-row that the same driver had won the Slotstox Foxhall Grand Prix Series Championship and Slot-Saloons Foxhall Points Championship in the same season! Paul defended the Slot-Bangers Foxhall Points Championship and won a seventh in total having also won in 2003 plus four-seasons-in-a-row 1997, 1998, 1999 and 2000. Paul won the Slotstox Foxhall Points Championship and Slot-Bangers Foxhall Points Championship in the same season for a fourth time following 1998, 2003 and 2007. Paul also defended the Slot-Bangers Foxhall Championship on 17th October and won a sixth in total and sixth in seven seasons having also won in 2002, 2003, 2004 and 2005. Paul won the Slot-Bangers Foxhall Points Championship and Slot-Bangers Foxhall Championship in the same season for a third time following 2003 and 2007. Paul defended the Great Blakenham Slotstox Club hosted Slotstox East Anglian Championship for the second time and won a fourth in total having also won in 2003 and 2004. Paul won the Slotstox East Anglian Championship and Slot-Bangers Foxhall Championship in the same season for a fourth time following 2003, 2004 and 2007. With Mark West winning the Slotstox East Anglian Championship and Slot-Bangers Foxhall Championship in 2006, this meant that this was the third-season-in-a-row and fifth season in six that the same driver had won the Slotstox East Anglian Championship and Slot-Bangers Foxhall Championship in the same season! Due to the reduction in the number of Slotstox drivers racing; a 2008/2009 Slotstox Foxhall Grand Prix Series Championship was not started during the second half of the season. For the same reason, the Slotstox Foxhall Grand National Championship was also not held during the season - Paul being unable to defend this title. Away from the Club, Paul defended the Slotstox Great Blakenham Points Championship and won a fourth in total having also won in 2003 and 2005. This meant Paul won the Slotstox Foxhall Points Championship and Slotstox Great Blakenham Points Championship in the same season for a fourth time. Robin Bater won the Slot-Saloons Foxhall Championship for a fourth time on 28th November following 1994, 1998 and 2003. Robin also finished as runner-up in each of the Slot-Saloons Foxhall Points Championship and the Slot-Bangers Foxhall Points Championship. In each of these Robin finished just one point ahead of Mark West! Outgoing Slotstox Foxhall Grand Prix Series Champion and Slot-Saloons Foxhall Points Champion, Mark won the '25th' Slotstox Foxhall Championship on 7th November. Mark won the Slotstox Foxhall Championship for a second time following 2002. Mark became the fifth driver to win the Slotstox Foxhall Championship on two or more occasions following eight-time champion Noel Whinney (1989, 1996, 1997, 1999, 2000, 2001, 2002 and 2003) plus two-time champions Clive Day (the inaugural Slotstox Foxhall Championship in 1984 and 1990), Julian Beaumont (1986 and 1987) and Chris Butcher (1991 and 1992). The Slotstox Foxhall Championship was once again held over a one week four heat format. The final was a dramatic affair...six races in and with a close finish looking likely, the Club’s five-lane bendy chicane centre section of the track became damaged to such an extent that it could no longer be raced on for the rest of the evening. A decision was taken to re-run the whole final replacing the bendy chicane centre section with the straight through chicane centre section! Away from the Club, at the Great Blakenham Slotstox Club, Mark won Slotstox Champion of Champions Championship on 23rd July as well as the Slotstox ‘Club’ Championship. This meant Mark became the second driver to win the Slotstox Foxhall Championship, the Slotstox ‘Club’ Championship at the Great Blakenham Slotstox Club and the Slotstox Champion of Champions Championship in the same season following Noel Whinney (2003). Outgoing Slotstox Champion of Champions Champion Mark Banham made the most of a Yellow grade status to win the Great Blakenham Slotstox Club hosted Slotstox British ‘Open’ Championship. Mark won the Slotstox British 'Open' Championship racing the Slotstox won in a raffle at the 2004 event! The Slotstox British ‘Open’ Championship was held on the 2nd March and was sponsored by Chris Burgoyne Motorsport. Defending champion Noel was an absentee. Another Club member, Charlotte Feek, won a Great Blakenham Slotstox Club hosted Championship: the Slotstox Ladies Championship at the meeting that brought the curtain down on racing in the Great Blakenham/Claydon area: the end of season Christmas 'Open' meeting. In other Great Blakenham Slotstox Club hosted ‘Open’ championships: Darryl Gilder defended the Slotstox Under 18’s Championship also held at the Christmas 'Open' meeting and won the Slotstox Coca Cola 300 Championship on 23rd July open to all drivers without a major Slotstox championship win. Darryl became the second driver to win the Slotstox Under 18’s Championship twice following Bradley Mitchell (2002 and 2005). There was a Wisbech Fen Tigers Slotstox Club win at the Club’s hosted Slotstox Suffolk Championship as Friday 13th June proved lucky for Great Blakenham Slotstox Club regular Chris Collins! In recent seasons the Slotstox Suffolk Championship had been held on the Club’s four-lane track and had gradually seen a limited number of visiting Great Blakenham Slotstox Club drivers. This season the Slotstox Suffolk Championship was held on the Club’s five-lane straight chicane track and attracted an improved number of visiting Great Blakenham Slotstox Club drivers. There was again Club representation at the Arena-Essex Parmastox 'Open' Championship. Mark Banham (debuting a new Parmastox) and Mark West visiting on 6th March racing against drivers from the host Arena-Essex Slotstox club and Wellgate Slotstox Club. Mark West finished third and Mark Banham finished fifth as Jack Branch from the hosts won the Arena-Essex Slotstox Club Parmastox 'Open` Championship. The Wisbech Fen Tigers Slotstox Club dropped the Wisbech Fen Tigers Slotstox 'Open' Team Championship from the fixture list. Having had a Club forum on the social networking site 'Myspace' that never really proved popular, previous Club members Terry Newell and Christer Earrey created 'The Foxhall Foxes Slotstox Club' group on the social networking site 'Facebook'. This proved much more popular and gained several members within a short space of time. Towards the end of the season, due to the significant reduction in the number of drivers racing at each, the members of the Club and the Great Blakenham Slotstox Club elected to merge. Due to its long history, it was agreed to retain the ‘Foxhall Foxes Slotstox Club’ name. A move of location was also agreed and initiated by Noel the Club would begin the 2009 season based at the Rushmere Village Hall on the outskirts of Ipswich. Noel was elected to be the Club chairman. The final meeting of the Great Blakenham Slotstox Club was the traditional 'in it's relatively short history' end of season Christmas 'Open' meeting on 21st December. The end of the 2008 season had seen the Club merge with the Great Blakenham Slotstox Club due to the significant reduction in the number of drivers racing at each. Due to its long history, it had been agreed to retain the ‘Foxhall Foxes Slotstox Club’ name and with Noel Whinney as Club chairman, the Club moved to the Rushmere Village Hall on the outskirts of Ipswich. With 'The Foxhall Foxes Slotstox Club' group on the social networking site 'Facebook', set up towards the end of 2008, growing in members: word soon spread of the changes and the need for more Club members perhaps to ensure the Club’s existence! 9th January saw the first meeting of the Club’s twenty-fifth anniversary season at its new home and although it was a Slotstox non-points meeting twenty-one people were in attendance including several old and new faces. Growing the Club’s web presence further, courtesy of Noel, a Club forum was set up: slotstox.myfreeforum.org with one of its main roles being to enable drivers to pre-book for future meetings. With the reduction in number of drivers racing during the 2008 season plus the cost of the Rushmere Village Hall to hire, it was initially paramount to know how many drivers were intending to race each week. Drivers received a reduction in weekly race fees if they pre-booked. Past members made a regular racing return during the season. These included multi-champion Paul Mower winner of many championships in each of the Club’s formulae during the 1980’s and early 1990’s including the 1984 Slotstox British Championship, 1989 Slotstox English Championship, six Slotstox Foxhall Points Championships (1987, 1988, 1989, 1991, 1992 and 1994) plus and perhaps most significantly, the first driver to win the Slotstox World Championship at an ‘away’ club: the Aldershot Knights Slotstox Club in 1992 meaning that the Club hosted the Slotstox World Championship for the first time in 1993. Other past members making a regular racing return during the season were 1985 Slotstox English Champion (the inaugural Slotstox English Championship), Slotstox Foxhall Points Champion and Slotstox Foxhall Champion Dean Cox; 1997 Slot-Saloons Pairs Champion (paired with Simon Turnbull) Kieran Margetson; and 1996 Slotstox World Championship runner-up Terry Newell. Other past members making the odd appearance during the season were 1991 Slot-Saloons Foxhall Champion Brian Devine; 1991 and 1992 Slotstox East Anglian Champion, 1993 Slotstox English Champion and 1994 Slot-Bangers Foxhall Champion Daren Earrey; and 1986 Slotstox Foxhall Points Champion and Slotstox Foxhall Grand Prix Series Champion (the inaugural Slotstox Foxhall Grand Prix Series Championship) Mark Cossey. Paul, Terry and Daren returned with their children starting at a similar age to when the parents themselves once started! During the season, it was a fairly regular occurrence for thirty-plus drivers to be racing at a Slotstox meeting and with a few non-racing members in attendance the hall had a 'buzz' not witnessed at a Club’s normal Slotstox meeting for many a season. Whilst the Slotstox Foxhall Grand National Championship was not held during the 2008 season due to the reduction in the number of Slotstox drivers racing, in contrast, it was not reintroduced this season due to the increase in number of Slotstox drivers racing and the time being taken to run the meetings! Another guest appearance during the season saw Spedeworth commentator Graham Woodward attend the Club on 13th November ahead of the National Banger Championship of the World meeting at the Foxhall Stadium the following Evening. In addition to enjoying the racing, Graham took several notes and photos with the intention of preparing a report for publication on the evening’s events! Following the merger of the Club and the Great Blakenham Slotstox Club the previously Great Blakenham Slotstox Club hosted Slotstox Champion of Champions Championship, Slotstox Ladies Championship together with the Slotstox Coca Cola 300 Championship open to all drivers without a major Slotstox championship win were not held. Outgoing Slotstox Ladies Champion (although not able to defend!) Charlotte Feek won the Slotstox Suffolk Championship on 24th June with Charlotte’s boyfriend Mark West finishing as runner-up! Charlotte became the second lady driver to win the Slotstox Suffolk Championship following Rachael Squirrell (now Butcher) in 1995. Defending champion, Wisbech Fen Tigers Slotstox Club regular, Chris Collins was an absentee. Friday 13th March proved lucky for outgoing Slotstox Champion of Champions Champion (although not able to defend!) and Slotstox Suffolk Championship runner-up Mark: winning the Slotstox British Championship. This was the first time the Club had hosted the Slotstox British Championship following the merger with the Great Blakenham Slotstox Club: hosts since 2001 (although the 2001 hosted championship was titled the ‘Slotstox English ‘Open’ Championship’). Even though the Slotstox British Championship was moved to a Friday evening rather than the traditional Sunday afternoon the meeting still attracted thirty-three drivers including three visiting drivers from the Arena-Essex Slotstox Club. There was however a change of format with no quarter-finals. In this Twenty-fifth anniversary season, racing at the Slotstox British Championship were three drivers out of the twelve that raced at the first official meeting of the Club on 11th May 1984: defending Slotstox British Champion Mark Banham (continuing to make the odd appearance during the season despite moving away from the Ipswich area), Mark Cossey and highest points scorer at that first official meeting Dean. Mark and Dean each qualified for the semi-finals: Mark Banham as joint fourth highest point scorer in the heats whilst Dean was the twelfth and final qualifier after defeating Arena-Essex driver Jack Branch in a run-off. Mark Cossey missed joining Dean and Jack in this run-off by one point! Neither Mark nor Dean qualified for the final though! Mark West also won the Slot-Saloons Foxhall Points Championship for a third time and second in three seasons following 2000 and 2007 with the eleventh and final round on 11th December. Mark became the third driver to win the Slot-Saloons Foxhall Points Championship on three or more occasions following four-time champions Chris Butcher (1991, 1999, 2002 and 2003) and Paul Glading (1998, 2005, 2006 and the previous season: 2008). This meant that Mark and Paul had won the previous five Slot-Saloons Foxhall Points Championships between them. At the Club, Paul Glading was again the driver winning the most championships. Paul won the Slotstox Foxhall Points Championship for a fifth season-in-a-row, seventh in eight seasons and an eighth in total having also won in 1998, 2002 and 2003. Following this twenty-fifth anniversary season there have been Twenty-six Slotstox Foxhall Points Championships. With Noel having won the Slotstox Foxhall Points Championship five times (1997, 1999, 2000, 2001 and 2004) either Paul or Noel had won the Slotstox Foxhall Points Championship since 1997! In addition to Noel, Paul Mower had won the Slotstox Foxhall Points Championship on five or more occasions: six (1987, 1988, 1989, 1991, 1992 and 1994). Paul won the Slot-Bangers Foxhall Points Championship with the eighth and final round on 30th October for the third-season-in-a-row and eighth in total having also won in 2003 plus four-seasons-in-a-row 1997, 1998, 1999 and 2000. Robin finished second as the top two were the same as in 2008. Paul defended the Slotstox Foxhall Grand Prix Series Championship with the final round on 4th December – Paul confirming two championship wins on the same evening as the final round of the Slotstox Foxhall Grand Prix Series Championship coincided with the final round of the Slotstox Foxhall Points Championship! Paul won the Slotstox Foxhall Grand Prix Series Championship for a sixth time, third in four seasons and five in seven seasons having also won in 1998, 2003, 2004 and 2006. Paul became the second driver to defend the Slotstox Foxhall Grand Prix Series Championship twice following four-time champion Paul Mower (1987, 1989 and 1991, 1992). Paul won the Slotstox Foxhall Championship for a second time following 2005. Paul became the sixth driver to win the Slotstox Foxhall Championship on two or more occasions following eight-time champion Noel Whinney (1989, 1996, 1997, 1999, 2000, 2001, 2002 and 2003) plus two-time champions Clive Day (the inaugural Slotstox Foxhall Championship in 1984 and 1990), Julian Beaumont (1986 and 1987), Chris Butcher (1991 and 1992) and Mark West (2004 and the previous season 2008). Paul won the Slotstox Foxhall Points Championship and Slotstox Foxhall Championship in the same season for a second time following 2005. The Slotstox Foxhall Championship reverted back to its traditional format of being over two meetings, 22nd May and 5th June, having been run as a one-week format since 2006. With the Slotstox Foxhall championship raced on one of the former Great Blakenham Slotstox Club’s six-lane tracks this was the first time that the Slotstox Foxhall Championship final had six drivers. The Slotstox Foxhall Grand Prix Series Championship was run in full during the season having been held in the format of the rounds spanning over the end of one season and the beginning of the next since 1994/5. The Championship was removed from the fixture list during 2008 due to the reduction in the number of drivers racing (and also due to not knowing whether the club would exist at the beginning of 2009!) but following the changes at the start of the season it was reinstated over the now traditional six rounds. Interestingly Alex Butcher finished with 27 points on the Slotstox Foxhall Points Championship chart whilst Alex’s sister Megan finished with 27 points on the Slotstox Grand Prix Series Championship chart – 27 being dad Chris’s race number! In the Slotstox Foxhall Grand Prix Series Championship Paul winning with Mark West, Robin Bater and Jim Glading finishing second, third and fourth respectively was the same as 2008! Mark, Paul and Robin finished first, second and third in 2007 with Mark beating Paul that season. With Paul winning the Slotstox Foxhall Grand Prix Series Championship in 2003, 2004, 2006, 2008 and this season plus Mark winning in 2007 along with 2005 and 2002 plus Noel Whinney winning in 2000 and 2001 only three drivers won the Slotstox Foxhall Grand Prix Series Championship during the 2000's! With Noel also winning the Slotstox Foxhall Points Championship in 2000 and 2001 this was the sixth season that the either Paul or Noel had won the Slotstox Foxhall Points Championship and Slotstox Foxhall Grand Prix Series Championship in the same season during the 2000's! Following this twenty-fifth anniversary season the same driver has won the Slotstox Foxhall Points Championship and Slotstox Foxhall Grand Prix Series Championship in the same season thirteen times! In addition to Paul (1998, 2003, 2006, 2008 and 2009) and Noel (2000 and 2001) the same driver won both championships the first six seasons that the Slotstox Foxhall Grand Prix Series Championship was held - Mark Cossey (the inaugural Slotstox Foxhall Grand Prix Series Championship in 1986), Paul Mower (1987, 1989, 1991 and 1992) and Clive Day (1990)! In the Slot Bangers Foxhall Points Championship, Robin Bater finished second for the second-season-in-a-row whilst Paul Mower finished third helped by being the highest points scorer in the heats at the final round having been just one point ahead of Keith Brett and Jim Glading going into it! 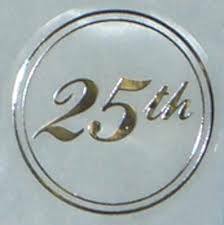 With 11th May 2009 representing twenty-five years since the Club began its ‘official’ racing life: the meeting on 15th May fell in the same week and so could be considered as the Club’s twenty-fifth Birthday meeting. This was round five of the Slot-Saloons Foxhall Points Championship with twenty-one drivers racing and Paul won the final. It is therefore perhaps ironic that the Slot-Saloons Foxhall Points Championship was the only Foxhall Points Championship that Paul did not win during the season! With Mark winning the Slot-Saloons Foxhall Points Championship, this meant Paul was denied winning the Foxhall Points Championships for Slotstox, Slot-Saloons and Slot-Bangers in the same season for what would have been a third time following 1998 and the previous season: 2008. Mark also denied Paul in 2005 and 2007 from winning the Foxhall Points Championships for Slotstox, Slot-Saloons and Slot-Bangers in the same season - whilst Mark again won the Slot-Saloons Foxhall Points Championship in 2007: in 2005 Mark won the Slot-Bangers Foxhall Points Championship! Simon Turnbull denied Paul in 2006 by winning the Slot-Bangers Foxhall Points Championship whilst Chris Butcher denied Paul in 2003 by winning the Slot-Saloons Foxhall Points Championship! Despite not winning the Slot-Saloons Foxhall Points Championship, Paul dominated the Foxhall Points Championships during the 2000's by winning fifteen of the thirty available: Slotstox - seven (2002, 2003, 2005, 2006, 2007, 2008 and 2009) out of ten; Slot-Saloons - three (2005, 2006, 2008) out of ten; and Slot-Bangers - five (2000, 2003, 2007, 2008 and 2009) out of ten! Following agreement by the Club, Great Blakenham Slotstox Club and Wisbech Fen Tigers Slotstox Club to rotate the Slotstox World Championship: the draw undertaken at the 2005 event which saw the Wisbech Fen Tigers Slotstox Club drawn first meant that this season the Wisbech Fen Tigers Slotstox Club hosted the Slotstox World Championship for the second time following 2006. Following the merger of the Great Blakenham Slotstox Club and the Club the rotation continues between the Club and Wisbech Fen Tigers Slotstox Club. As in 2006 (when the Wisbech Fen Tigers Slotstox Club forgot to book their usual hall!) the Slotstox World Championship was held at the Emneth Central Hall. Thirty-four drivers were racing and 13th December proved lucky for Wisbech Fen Tigers Slotstox Club driver Julian Moat (number 313 - three hundred and thirteen!) winning the Slotstox World Championship after many near misses at the 13th attempt! Julian became the first driver from the Wisbech Fen Tigers Slotstox Club to win the Slotstox World Championship. Julian's son Shane Moat qualified for the Slotstox World Championship final for the first time finishing a respectable fifth having helped dad Julian along the way in keeping Terry Newell at bay. Terry qualified for the Slotstox World Championship final for the first time since 1996 but having finished as runner-up thirteen seasons ago, this time Terry could only finish sixth – having tried to stop Julian and help other Club drivers in the final. Defending and six-time champion in total (2002, 2003, 2004, 2005, 2006 and 2008) Noel Whinney was an absentee and with Robin winning the Slotstox World Championship in 2007 for the second time following 1993, Julian became the first first-time winner of the Slotstox World Championship since Mark Banham in 2001. Two drivers from the Club were racing with numbers used by drivers from the Wisbech Fen Tigers Slotstox Club - father and son 376 Gareth and 7 Jack Parker! Confusing enough for the organisers without during the first set of heats both 376's (Gareth and eventual finalist Shane) drawn in the same heat and both 7's (Jack and John Bennington) drawn in the same heat! Another Wisbech Fen Tigers Slotstox Club driver Chris Collins won the B-final and oddly the biggest trophy on offer! Chris had tangled with Gareth on a few too many occasions during the semi-final! In one of the closest Slotstox World Championship finals the first four drivers were separated by only nine points - 1st: Julian - 49 points, 2nd: Robin Bater – 42, 3rd (following a run-off): Paul Glading - 40 and 4th: Mark West – 40! Robin had to leave early from the 2006 Slotstox World Championship at the Wisbech Fen Tigers Slotstox Club – finishing as runner-up this time simply fuelled more speculation over might have happened! The traditional Slotstox World Championship meeting raffle was entertaining with Club members trying to win a cuddly dinosaur for Jack. Dad Gareth eventually drew the prize much to the delight of son Jack! In a change from the traditional hot food on sale, the Wisbech Fen Tigers Slotstox Club provided a buffet after the second set of heats – much to the delight of the visiting Club drivers! In addition to winning the dinosaur in the Slotstox World Championship raffle, Gareth won the Slot-Saloons Foxhall Championship on 16th October for a second time following 2002. Gareth became the fourth driver to win the Slot-Saloons Foxhall Championship on two or more occasions following four-time (including defending) champion Robin (1994, 1998, 2003 and 2008), three-time champion Paul Glading (1997, 2005 and 2007) and two-time champion Keith Brett 2000 and 2001. Outgoing Slot-Saloons Foxhall Champion, Robin won the Slotstox East Anglian Championship on 9th October. Having been resurrected by and held in recent seasons at the Great Blakenham Slotstox Club: following the merger this was the first time the Club had hosted the Slotstox East Anglian championship since 1995 when it had been dropped from the fixture list due to the Club becoming regular host of the Slotstox World Championship. Robin also won the Slot-Bangers Foxhall Championship on 3rd July for a second time following 2000. Robin won the final by one point from Paul (a reverse of the first and second from 2008 and 2007) with Mark West, as in the Slot-Saloons Foxhall Championship, finishing third for the second successive year! Riley Mower showed potential to follow in the footsteps of dad Paul, 1993 Slot-Bangers Foxhall Champion – the inaugural Slot-Bangers Foxhall Championship, by finishing fourth whilst Pete Mitchell finished fifth having failed to trouble the final scorers! Robin became the third driver to win the Slot-Bangers Foxhall Championship on two or more occasions following the Glading duo - dad Jim: two-time champion (1998 and 2001) and son Paul: six-time champion (2002, 2003, 2004, 2005, 2007 and the previous season: 2008). Robin became the third driver to win the Slotstox East Anglian Championship and Slot-Bangers Foxhall Championship in the same season following Paul Glading (2003, 2004, 2007 and the previous season: 2008) and Mark West (2006). This meant that this was the fourth-season-in-a-row and sixth season in seven that the same driver had won the Slotstox East Anglian Championship and Slot-Bangers Foxhall Championship in the same season! The Club’s end of season Christmas meeting on 18th December, due to feature the Slotstox Under 18’s Championship (continued from the Great Blakenham Slotstox Club and replacing the Slotstox Foxhall Under 15’s Championship), Slotstox ‘Dash 4 Cash’, Slot-Saloon and Caravan Foxhall Championship plus presentation of Trophies for the seasons Foxhall Points Championships, was postponed due to heavy snow in the Ipswich area. Having been a driving force behind the merger of the Club and the Great Blakenham Slotstox Club and establishing the Club at the Rushmere Village Hall before reducing commitments throughout the season: Noel Whinney resigned as Club chairman at the Club's Annual General Meeting held at the Kesgrave Community Centre on 27th November. Sharon Parker was elected as the Club’s first female chairperson. Jim Glading resigned as Club Secretary having been Secretary of the Claydon / Great Blakenham Slotstox Club throughout its existence before continuing in the same role for the Club following the merger - former Club chairman (2000 - 2001) Robin Bater was elected Secretary. The Club’s Slotstox statistics for the season show that only one driver achieved a heat maximum – Paul Mower. With 46 drivers on the Slotstox Foxhall Points Championship chart: 32 drivers qualified for at least one semi-final and 21 drivers qualified for at least one final. Most semi-final appearances went to father and son Jim and Paul Glading - 16 followed by Robin Bater – 15 and Brian Cave and Terry Newell 12 whilst most final appearances went to Paul - 16, followed by Robin - 14 and Terry Newell – 9. 6 drivers won a final: Robin won the most - 6 followed by Paul - 4. During the season the Arena-Essex Slotstox Club, with which the Club had built associations with during the 2000’s, moved away from the Raceway Tavern at the Arena-Essex Raceway to the Bonny Downs Baptist Church in East Ham, London. This meant that following the closure of each of the Aldershot Stadium and Wisbech Stadium plus the Club leaving the Foxhall Stadium at the end of 2000 - the Club, Aldershot Knights Slotstox Club, Arena-Essex Slotstox Club and Wisbech Fen Tigers Slotstox Club had all now moved on from the Stock Car stadiums at which they were originally based. With 2009 being the twenty-fifth anniversary season of the club: a new website (http://foxhallfoxesretro.tripod.com/) was created courtesy of Mark Banham containing all the season reviews and statistics of the club. The Club’s website changed its address to www.foxhallfoxes.co.uk and in November received its 10,000th ‘hit’ to the ‘Home’ page since it's publication in March 2006. The season heralded another new era for the Club and it was certainly a twenty-fifth anniversary season that did the Club proud.